30 Yrs / 5.8 / 174cms / Fair / A+, Nashik (M Corp.), Maharashtra, India, Engineer, 144000 INR, Pisces. 24 Yrs / 5.8 / 174cms / Fair / AB+, Ahmadabad (M Corp.) (Part), Maharashtra, India, Accountant , 300000 INR, Sagittarius. 28 Yrs / 5.4 / 162cms / Fair / A+, Kalyan-Dombivli (M Corp.), Maharashtra, India, Engineer, 768000 INR, Taurus. 27 Yrs / 5.8 / 174cms / Fair / A+, Pune (CB), Maharashtra, India, Software Engineer , 780000 INR, Scorpio. 25 Yrs / 5.5 / 165cms / wheatish / A-, Jalgaon (M Corp.), Maharashtra, India, Engineer, 750600 INR, . 27 Yrs / 5.3 / 159cms / wheatish / AB+, Pimpri Chinchwad (M Corp.), Maharashtra, India, Engineer, 390000 INR, Libra. 30 Yrs / 5.6 / 168cms / Very fair / A+, , Maharashtra, India, Other , 430000 INR, Sagittarius. 26 Yrs / 5.8 / 174cms / Fair / O+, Pimpalgaon Kh., Maharashtra, India, Business , 300000 INR, . 28 Yrs / 5.6 / 168cms / Fair / AB-, Pune (CB), Maharashtra, India, Software Engineer , 770000 INR, Cancer. 28 Yrs / 5.4 / 162cms / Fair / O+, Jalgaon (M Corp.), Maharashtra, India, Engineer, 280000 INR, Aquarius. 22 Yrs / 5.1 / 153cms / Fair / A-, Sillod (M Cl), Maharashtra, India, , 0 INR, . 29 Yrs / 5.7 / 171cms / Fair / A+, Ahmadabad (M Corp.) (Part), Maharashtra, India, Engineer, 720000 INR, Gemini. 26 Yrs / 5.6 / 168cms / Fair / A+, Jalgaon (M Corp.), Maharashtra, India, Service , 240000 INR, Leo. 23 Yrs / 5 / 150cms / Fair / AB+, Badlapur (M Cl), Maharashtra, India, , 0 INR, Gemini. 31 Yrs / 5.7 / 171cms / wheatish / A+, Faizpur (M Cl), Maharashtra, India, Teaching, 720000 INR, Virgo. 28 Yrs / 5.11 / 153.3cms / Fair / B+, Andheri, Maharashtra, India, Software Engineer , 450000 INR, Virgo. 27 Yrs / 5.7 / 171cms / Fair / B+, Sangvi Bk, Maharashtra, India, Lab assistant, 300000 INR, Virgo. 31 Yrs / 5.6 / 168cms / wheatish / A+, Ambarnath(M Cl), Maharashtra, India, Engineer, 384000 INR, Capricorn. 28 Yrs / 5.5 / 165cms / Fair / A+, Pune (CB), Maharashtra, India, Accountant , 550000 INR, . 28 Yrs / 5.4 / 162cms / wheatish / B+, Pune (CB), Maharashtra, India, Teaching, 536064 INR, Aries. 32 Yrs / 5.7 / 171cms / Brown / AB+, Fekari, Maharashtra, India, Service , 120000 INR, . 28 Yrs / 4.8 / 144cms / Fair / A+, Pune (M Corp.), Maharashtra, India, Other , 340000 INR, Libra. 26 Yrs / 6.2 / 186cms / Fair / B+, Bandra, Maharashtra, India, Service , 1120000 INR, NOT KNOWN . 28 Yrs / 5.8 / 174cms / Fair / B+, Pune (M Corp.), Maharashtra, India, Engineer, 385000 INR, Leo. 26 Yrs / 5.2 / 156cms / Brown / A+, Nashik (M Corp.), Maharashtra, India, Other , 336000 INR, Virgo. 27 Yrs / 6 / 180cms / Fair / A+, Aurangabad (M Corp.), Maharashtra, India, Business , 350000 INR, Aquarius. 29 Yrs / 5.9 / 177cms / Fair / O+, , Maharashtra, India, Software Engineer , 400000 INR, Scorpio. 30 Yrs / 5.7 / 171cms / Brown / B+, Ambarnath(M Cl), Maharashtra, India, Engineer, 720000 INR, Pisces. 39 Yrs / 5.8 / 174cms / Fair / AB+, Nagpur (M Corp.), Maharashtra, India, Business , 200000 INR, Sagittarius. 28 Yrs / 6.1 / 183cms / Brown / B+, Mundi (NP), Maharashtra, India, Business , 1400000 INR, Aries. 27 Yrs / 5.7 / 171cms / Fair / B+, Kurla A, Maharashtra, India, Service , 700000 INR, Pisces. 26 Yrs / 5.9 / 177cms / wheatish / O+, Navi Mumbai (M Corp.), Maharashtra, India, Other , 320000 INR, Pisces. 25 Yrs / 5.2 / 156cms / wheatish / AB+, Badlapur (M Cl), Maharashtra, India, Engineer, 316000 INR, Leo. 28 Yrs / 6 / 180cms / Fair / A+, Pune (CB), Maharashtra, India, Engineer, 320000 INR, Taurus. 29 Yrs / 5.4 / 162cms / Brown / AB+, Pune (CB), Maharashtra, India, Software Engineer , 580000 INR, . 27 Yrs / 5.8 / 174cms / Fair / O+, बॅंगलोर, Maharashtra, India, Software Engineer , 1920000 INR, Gemini. 27 Yrs / 5.10 / 153cms / Fair / O+, Chinchwad, Maharashtra, India, Engineer, 450000 INR, NOT KNOWN . 29 Yrs / 5.6 / 168cms / Fair / O+, , Maharashtra, India, Service , 300000 INR, . 26 Yrs / 5.7 / 171cms / Brown / O+, Bhusawal (M Cl), Maharashtra, India, Service , 180000 INR, Gemini. 26 Yrs / 5.8 / 174cms / wheatish / AB+, Pune (M Corp.), Maharashtra, India, Service , 240000 INR, NOT KNOWN . 22 Yrs / 5.7 / 171cms / Brown / O+, Chikholi Bk, Maharashtra, India, Other , 168000 INR, Taurus. 29 Yrs / 5.6 / 168cms / Fair / A-, Tarsod, Maharashtra, India, Other , 180000 INR, Cancer. 27 Yrs / 5.4 / 162cms / Fair / B+, Pune (CB), Maharashtra, India, Automobile related works, 200000 INR, Gemini. 28 Yrs / 6 / 180cms / wheatish / B+, Pune (M Corp.), Maharashtra, India, Professar, 540000 INR, NOT KNOWN . 38 Yrs / 5.8 / 174cms / Brown / B+, Murbad, Maharashtra, India, Engineer, 240000 INR, Scorpio. 23 Yrs / 5.5 / 165cms / Fair / Dont know/माहिती नाही , Aurangabad (CB), Maharashtra, India, Service , 150000 INR, NOT KNOWN . 27 Yrs / 5.9 / 177cms / Fair / AB+, Chinchwad, Maharashtra, India, Accountant , 302000 INR, . 28 Yrs / 5.7 / 171cms / Fair / B+, Pithampur (M), Maharashtra, India, Other , 306000 INR, NOT KNOWN . 26 Yrs / 5.11 / 153.3cms / Fair / O+, Pimpale Gurav, Maharashtra, India, Construction related works, 300000 INR, Pisces. 30 Yrs / 5.7 / 171cms / Fair / O+, Palasiya, Maharashtra, India, , 0 INR, NOT KNOWN . 29 Yrs / 5.8 / 174cms / Fair / B+, Pune (M Corp.), Maharashtra, India, Service , 300000 INR, . 26 Yrs / 5.6 / 168cms / wheatish / A+, Mhow Cantt (CB), Maharashtra, India, Medical (Medicin related works), 354000 INR, Virgo. 32 Yrs / 5.10 / 153cms / Very fair / O+, Ballarpur (M Cl), Maharashtra, India, Service , 840000 INR, Scorpio. 27 Yrs / 5.9 / 177cms / Fair / AB+, Mathahalli, Maharashtra, India, Engineer, 1477000 INR, Scorpio. 27 Yrs / 5.6 / 168cms / Fair / O-, Nhavi Pr. Yaval, Maharashtra, India, Teaching, 1584000 INR, Pisces. 31 Yrs / 5.6 / 168cms / Fair / B+, Nashik (M Corp.), Maharashtra, India, Automobile related works, 360000 INR, Capricorn. 26 Yrs / 5.8 / 174cms / Fair / A+, Aurangabad (M Corp.), Maharashtra, India, Doctor, 1100000 INR, Scorpio. 28 Yrs / 5.9 / 177cms / Fair / A+, Pimpri Chinchwad (M Corp.), Maharashtra, India, Service , 312000 INR, . 29 Yrs / 5.9 / 177cms / Fair / A+, Pune (M Corp.), Maharashtra, India, Engineer, 258000 INR, Gemini. 27 Yrs / 5.6 / 168cms / Fair / AB+, Kakadpada, Maharashtra, India, Engineer, 6500000 INR, Pisces. 29 Yrs / 5.10 / 153cms / wheatish / A+, , Maharashtra, India, Engineer, 780000 INR, Taurus. 27 Yrs / 5.5 / 165cms / Fair / AB+, Sakari, Maharashtra, India, Service , 366000 INR, Virgo. 29 Yrs / 5.8 / 174cms / Fair / O+, Thane (M Corp.), Maharashtra, India, Software Engineer , 650000 INR, Aries. 25 Yrs / 6 / 180cms / Fair / A+, , Maharashtra, India, Engineer, 360000 INR, Capricorn. 29 Yrs / 5.8 / 174cms / wheatish / B+, Navi Mumbai (M Corp.), Maharashtra, India, Business , 600000 INR, Leo. 38 Yrs / 5.4 / 162cms / Brown / O+, Shelapur Kh, Maharashtra, India, Farming, 200000 INR, . 28 Yrs / 5.7 / 171cms / Fair / A+, Kalyan-Dombivli (M Corp.), Maharashtra, India, Engineer, 480000 INR, Gemini. 28 Yrs / 5.9 / 177cms / Black / O+, , Maharashtra, India, Advocate, 360000 INR, Pisces. 33 Yrs / 5.6 / 168cms / Brown / AB+, Jalgaon (M Corp.), Maharashtra, India, Business , 300000 INR, NOT KNOWN . 29 Yrs / / 0cms / / , , Maharashtra, India, , 0 INR, . 28 Yrs / 5.5 / 165cms / Brown / AB+, Shindkhede, Maharashtra, India, Accountant , 420000 INR, Aries. 30 Yrs / 5.11 / 153.3cms / Fair / B+, Nashik (M Corp.), Maharashtra, India, Business , 500000 INR, . 32 Yrs / 5.9 / 177cms / wheatish / B+, Ulhasnagar (M Corp.), Maharashtra, India, Software Engineer , 570000 INR, Taurus. 23 Yrs / 5.1 / 153cms / wheatish / A+, Nashik (M Corp.), Maharashtra, India, Other , 180000 INR, Virgo. 29 Yrs / 5.5 / 165cms / wheatish / B-, Nashik (M Corp.), Maharashtra, India, Service , 228000 INR, Scorpio. 25 Yrs / 6.3 / 189cms / Very fair / O+, Sunasgaon, Maharashtra, India, Service , 10000 INR, Libra. 30 Yrs / 5.5 / 165cms / Fair / Dont know/माहिती नाही , Bholav (CT), Maharashtra, India, Accountant , 372000 INR, NOT KNOWN . 28 Yrs / 5.8 / 174cms / Fair / B+, Kalyan-Dombivli (M Corp.), Maharashtra, India, Service , 372000 INR, Cancer. 28 Yrs / 5.11 / 153.3cms / wheatish / O+, Pimpale Gurav, Maharashtra, India, Engineer, 330000 INR, Gemini. 32 Yrs / 5.8 / 174cms / Fair / AB+, Indiranagar, Maharashtra, India, Engineer, 588000 INR, Gemini. 28 Yrs / 5.5 / 165cms / Black / A+, Ahmadabad (M Corp.) (Part), Maharashtra, India, Service , 258000 INR, Libra. 35 Yrs / 5.7 / 171cms / Brown / O+, , Maharashtra, India, Service , 204000 INR, NOT KNOWN . 27 Yrs / 5.7 / 171cms / Fair / B-, Malkapur (Rural), Maharashtra, India, Accountant , 270000 INR, Aquarius. 26 Yrs / 5.7 / 171cms / Very fair / AB+, Pimpri Chinchwad (M Corp.), Maharashtra, India, Automobile related works, 250000 INR, Leo. 31 Yrs / 5.7 / 171cms / Fair / O+, Pune (CB), Maharashtra, India, Engineer, 2200000 INR, Cancer. 35 Yrs / 5.6 / 168cms / Fair / B+, Varangaon (CT), Maharashtra, India, Engineer, 600000 INR, Leo. 29 Yrs / 5.5 / 165cms / Fair / A+, Navi Mumbai (M Corp.), Maharashtra, India, Service , 660000 INR, Gemini. 23 Yrs / 5.8 / 174cms / Fair / A-, Amode, Maharashtra, India, Engineer, 500000 INR, Aquarius. 30 Yrs / 5.8 / 174cms / Fair / AB+, Jalgaon (M Corp.), Maharashtra, India, Service , 228000 INR, Aries. 31 Yrs / 6 / 180cms / Fair / O-, Jalgaon (M Corp.), Maharashtra, India, Doctor, 800000 INR, Scorpio. 38 Yrs / 5.8 / 174cms / Fair / A+, Jalgaon (M Corp.), Maharashtra, India, Business , 350000 INR, Cancer. 32 Yrs / 4.11 / 123.3cms / Fair / B+, Thane (M Corp.), Maharashtra, India, Service , 576000 INR, . 26 Yrs / 6.2 / 186cms / Fair / O+, Ulhasnagar (M Corp.), Maharashtra, India, Other , 260000 INR, Scorpio. 30 Yrs / 5.8 / 174cms / Fair / A+, Thane (M Corp.), Maharashtra, India, Clerck, 120000 INR, . 27 Yrs / 5.9 / 177cms / wheatish / A+, Ulhasnagar (M Corp.), Maharashtra, India, Engineer, 700000 INR, . 31 Yrs / 5.4 / 162cms / Fair / AB+, Savda (M Cl), Maharashtra, India, Business , 300000 INR, Pisces. 32 Yrs / 5.10 / 153cms / Fair / , Buldana (M Cl), Maharashtra, India, Service , 240000 INR, NOT KNOWN . 27 Yrs / 5.4 / 162cms / Very fair / A+, , Maharashtra, India, Accountant , 240000 INR, Leo. 31 Yrs / 5.8 / 174cms / Very fair / B+, Dambhurni, Maharashtra, India, Teaching, 126000 INR, Leo. 31 Yrs / 5.8 / 174cms / Fair / A+, Pune (M Corp.), Maharashtra, India, Engineer, 750000 INR, Taurus. 25 Yrs / 5.9 / 177cms / Fair / O+, Faizpur (M Cl), Maharashtra, India, Business , 240000 INR, Aries. 26 Yrs / 5.10 / 153cms / Fair / O+, Kalyan-Dombivli (M Corp.), Maharashtra, India, Engineer, 520000 INR, Aquarius. 33 Yrs / 5.11 / 153.3cms / Fair / B+, Bhusawal (M Cl), Maharashtra, India, Software Engineer , 450000 INR, Libra. 32 Yrs / 5.5 / 165cms / Fair / AB+, Chambur, Maharashtra, India, Other , 600000 INR, Pisces. 29 Yrs / 5.10 / 153cms / Fair / AB+, Pune (M Corp.), Maharashtra, India, Engineer, 250000 INR, Aquarius. 30 Yrs / 5.9 / 177cms / wheatish / AB+, , Maharashtra, India, Engineer, 6596000 INR, Cancer. 31 Yrs / 5.8 / 174cms / wheatish / B+, Kalyan-Dombivli (M Corp.), Maharashtra, India, Engineer, 9000000 INR, . 28 Yrs / 5.7 / 171cms / Fair / O+, Aurangabad (M Corp.), Maharashtra, India, Service , 174000 INR, Capricorn. 28 Yrs / 5.10 / 153cms / Fair / A+, Ahmadnagar (M Corp.), Maharashtra, India, Doctor, 1800000 INR, Scorpio. 25 Yrs / 5.9 / 177cms / Fair / A+, Chakan (CT), Maharashtra, India, Software Engineer , 492000 INR, Leo. 33 Yrs / 5.6 / 168cms / Fair / Dont know/माहिती नाही , Sakari, Maharashtra, India, Service , 96000 INR, Sagittarius. 29 Yrs / 5.9 / 177cms / Brown / O+, Hinjavadi (CT), Maharashtra, India, Software Engineer , 535000 INR, Virgo. 28 Yrs / 5.11 / 153.3cms / Fair / O-, Shirwal, Maharashtra, India, Workshop Fabrication, 360000 INR, Cancer. 24 Yrs / 5.6 / 168cms / Fair / O+, Faizpur (M Cl), Maharashtra, India, Business , 600000 INR, Scorpio. 26 Yrs / 5.6 / 168cms / Fair / A+, , Maharashtra, India, Service , 670000 INR, Aquarius. 34 Yrs / 5.6 / 168cms / Fair / A+, Kalyan-Dombivli (M Corp.), Maharashtra, India, Business , 200000 INR, Gemini. 23 Yrs / 5.6 / 168cms / wheatish / AB+, , Maharashtra, India, Service , 300000 INR, Taurus. 28 Yrs / 5.8 / 174cms / Fair / O+, , Maharashtra, India, Engineer, 455000 INR, Aries. 29 Yrs / 5.6 / 168cms / Fair / B-, Ambarnath(M Cl), Maharashtra, India, Other , 280000 INR, Libra. 25 Yrs / 5.8 / 174cms / Fair / A+, , Maharashtra, India, Service , 365000 INR, Virgo. 27 Yrs / 5.11 / 153.3cms / / O+, Nhavi Pr. Yaval, Maharashtra, India, Engineer, 192000 INR, NOT KNOWN . 35 Yrs / 5.4 / 162cms / wheatish / Dont know/माहिती नाही , Varangaon (CT), Maharashtra, India, Business , 315000 INR, Capricorn. 0 Yrs / 5.6 / 168cms / wheatish / Dont know/माहिती नाही , Bareli, Maharashtra, India, EDITOR, 5589 INR, Scorpio. 27 Yrs / 5.8 / 174cms / wheatish / B+, Ahmadabad (M Corp.) (Part), Maharashtra, India, Professar, 324000 INR, Scorpio. 38 Yrs / 5.10 / 153cms / wheatish / AB+, पेण, Maharashtra, India, Service , 276000 INR, Aquarius. 43 Yrs / 5.11 / 153.3cms / Fair / Dont know/माहिती नाही , Dambhurni, Maharashtra, India, Farming, 400000 INR, NOT KNOWN . 26 Yrs / 5.11 / 153.3cms / Fair / B+, , Maharashtra, India, Service , 350000 INR, Leo. 26 Yrs / 5.8 / 174cms / Fair / B+, Wagholi (CT), Maharashtra, India, Engineer, 250000 INR, Scorpio. 37 Yrs / 5.5 / 165cms / Fair / O+, Savda (M Cl), Maharashtra, India, Education, 200000 INR, Cancer. 27 Yrs / 5.7 / 171cms / Fair / A+, Pune (CB), Maharashtra, India, Other , 240000 INR, Aquarius. 29 Yrs / 5.10 / 153cms / Fair / A+, Pimpri Chinchwad (M Corp.), Maharashtra, India, Service , 316000 INR, Capricorn. 26 Yrs / 5.8 / 174cms / wheatish / B+, Kakadpada, Maharashtra, India, Engineer, 460000 INR, Sagittarius. 28 Yrs / 5.10 / 153cms / Fair / O+, Ahmadabad (M Corp.) (Part), Maharashtra, India, , 384000 INR, Libra. 27 Yrs / 5.4 / 162cms / Fair / AB+, Satara (CT), Maharashtra, India, Service , 250000 INR, Scorpio. 27 Yrs / 5.11 / 153.3cms / Fair / A+, Bhusawal (M Cl), Maharashtra, India, Service , 1380000 INR, Aquarius. 25 Yrs / 5.10 / 153cms / Very fair / A+, , Maharashtra, India, Engineer, 416000 INR, . 30 Yrs / 5.10 / 153cms / Very fair / B+, Aurangabad (M Corp.), Maharashtra, India, Software Engineer , 5700000 INR, Aries. 30 Yrs / 5.8 / 174cms / Fair / A+, Ghotavade, Maharashtra, India, Service , 200000 INR, Capricorn. 31 Yrs / 5.10 / 153cms / wheatish / AB+, Pune (M Corp.), Maharashtra, India, Software Engineer , 1200000 INR, Leo. 23 Yrs / 5.7 / 171cms / Very fair / B+, Magdalla (INA), Maharashtra, India, Medical (Medicin related works), 140400 INR, Aquarius. 30 Yrs / 6 / 180cms / Fair / O+, , Maharashtra, India, Other , 28000 INR, Capricorn. 31 Yrs / 5.7 / 171cms / Fair / B+, Varad Seem, Maharashtra, India, Other , 300000 INR, . 27 Yrs / 5.10 / 153cms / Fair / B+, Mira-Bhayandar (M Corp.), Maharashtra, India, CA, 1200000 INR, Taurus. 37 Yrs / 5.8 / 174cms / Fair / A+, Mira-Bhayandar (M Corp.), Maharashtra, India, Service , 480000 INR, Cancer. 0 Yrs / 5.2 / 156cms / Fair / AB+, Datala, Maharashtra, India, Service , 170000 INR, Capricorn. 32 Yrs / 5.10 / 153cms / Fair / B+, Pimpri Chinchwad (M Corp.), Maharashtra, India, Service , 725000 INR, Pisces. 28 Yrs / 5.7 / 171cms / Brown / B+, Pimpri Chinchwad (M Corp.), Maharashtra, India, Engineer, 372000 INR, Aquarius. 35 Yrs / 5.8 / 174cms / wheatish / B+, Pimpri Chinchwad (M Corp.), Maharashtra, India, Doctor, 1600000 INR, Virgo. 29 Yrs / 5.8 / 174cms / Fair / A+, , Maharashtra, India, Automobile related works, 360000 INR, . 28 Yrs / 5.4 / 162cms / Fair / A+, Ambarnath (R), Maharashtra, India, Engineer, 500000 INR, Aries. 27 Yrs / 6 / 180cms / Very fair / B+, Datala, Maharashtra, India, Service , 420000 INR, NOT KNOWN . 27 Yrs / 5.4 / 162cms / Fair / A+, Pune (CB), Maharashtra, India, Other , 180000 INR, . 25 Yrs / 5.11 / 153.3cms / wheatish / B+, Mulund, Maharashtra, India, Software Engineer , 456000 INR, Aquarius. 28 Yrs / 5.7 / 171cms / Fair / AB+, , Maharashtra, India, Service , 576000 INR, Virgo. 31 Yrs / 5.3 / 159cms / Fair / A-, Ahmadabad (M Corp.) (Part), Maharashtra, India, Medical (Medicin related works), 600000 INR, NOT KNOWN . 31 Yrs / 5.8 / 174cms / Fair / A+, Pune (M Corp.), Maharashtra, India, Software Engineer , 216000 INR, Leo. 27 Yrs / 5.8 / 174cms / Fair / B+, , Maharashtra, India, Service , 180000 INR, . 30 Yrs / 5.4 / 162cms / Fair / B+, Vasai-Virar City (M Corp), Maharashtra, India, Lab assistant, 330000 INR, . 28 Yrs / 5.9 / 177cms / Fair / A+, Jalgaon (M Corp.), Maharashtra, India, Service , 1800000 INR, Libra. 28 Yrs / 5.8 / 174cms / Brown / A+, Mundhawa (N.V.), Maharashtra, India, Other , 550000 INR, Gemini. 27 Yrs / 6 / 180cms / Fair / AB+, Nashik (M Corp.), Maharashtra, India, Accountant , 216000 INR, NOT KNOWN . 28 Yrs / 5.8 / 174cms / wheatish / A+, Jalgaon (M Corp.), Maharashtra, India, Service , 228000 INR, Capricorn. 28 Yrs / 5.9 / 177cms / Fair / A+, Kanalde, Maharashtra, India, Service , 192000 INR, Scorpio. 32 Yrs / 5.5 / 165cms / Fair / A+, PANCHAK, Maharashtra, India, Software Engineer , 336000 INR, Libra. 27 Yrs / 5.10 / 153cms / Fair / O+, Jalgaon (M Corp.), Maharashtra, India, Software Engineer , 25000 INR, Cancer. 30 Yrs / 5.8 / 174cms / wheatish / A+, Pimpale Gurav, Maharashtra, India, Software Engineer , 500000 INR, Sagittarius. 28 Yrs / 5.8 / 174cms / Fair / B+, , Maharashtra, India, Engineer, 300000 INR, Virgo. 36 Yrs / 6 / 180cms / wheatish / B+, , Maharashtra, India, Service , 350000 INR, Leo. 27 Yrs / 5.5 / 165cms / Very fair / A+, Purna (M Cl), Maharashtra, India, Engineer, 600000 INR, Capricorn. 25 Yrs / 5.8 / 174cms / Fair / B+, Jalgaon (M Corp.), Maharashtra, India, Service , 96000 INR, NOT KNOWN . 24 Yrs / 5.5 / 165cms / Fair / AB-, , Maharashtra, India, Service , 300000 INR, Virgo. 30 Yrs / 5.11 / 153.3cms / wheatish / A+, Aurangabad (M Corp.), Maharashtra, India, Engineer, 650000 INR, Gemini. 31 Yrs / 5.8 / 174cms / Very fair / A+, Jalgaon (M Corp.), Maharashtra, India, Clerck, 96000 INR, NOT KNOWN . 29 Yrs / 5.9 / 177cms / Fair / B+, , Maharashtra, India, Service , 15000 INR, Virgo. 31 Yrs / 5.4 / 162cms / Fair / B+, Pimpri Chinchwad (M Corp.), Maharashtra, India, Professar, 250000 INR, Aquarius. 30 Yrs / 5.9 / 177cms / wheatish / O+, DASHAK, Maharashtra, India, Service , 680000 INR, Scorpio. 30 Yrs / 5.8 / 174cms / Brown / A+, Kalyan-Dombivli (M Corp.), Maharashtra, India, Service , 1000000 INR, Virgo. 32 Yrs / 5.7 / 171cms / Fair / O+, Kalyan-Dombivli (M Corp.), Maharashtra, India, Other , 330000 INR, Aries. 30 Yrs / 5.7 / 171cms / Fair / A+, Aurangabad (M Corp.), Maharashtra, India, Service , 240000 INR, Sagittarius. 33 Yrs / 5.5 / 165cms / Fair / B+, Belvhal, Maharashtra, India, Service , 180000 INR, Cancer. 37 Yrs / 5.7 / 171cms / wheatish / B-, Thane (M Corp.), Maharashtra, India, Service , 180000 INR, Pisces. 37 Yrs / 5.7 / 171cms / Fair / O+, Bhusawal (M Cl), Maharashtra, India, Clerck, 10000 INR, Scorpio. 29 Yrs / 5.10 / 153cms / Fair / AB+, , Maharashtra, India, Service , 240000 INR, Scorpio. 27 Yrs / 5.9 / 177cms / Fair / O+, Jalgaon (M Corp.), Maharashtra, India, Teaching, 200000 INR, Aquarius. 28 Yrs / 5.8 / 174cms / wheatish / B+, Bhiwandi Nizampur (M Corp.), Maharashtra, India, Software Engineer , 610000 INR, Virgo. 30 Yrs / 5.10 / 153cms / Fair / Dont know/माहिती नाही , Kalyan-Dombivli (M Corp.), Maharashtra, India, Software Engineer , 600000 INR, Aries. 28 Yrs / 5.7 / 171cms / Fair / O+, Pimpri Chinchwad (M Corp.), Maharashtra, India, Engineer, 648000 INR, Leo. 26 Yrs / 6.3 / 189cms / wheatish / A+, Shivaji Nagar, Maharashtra, India, Other , 180000 INR, Aquarius. 26 Yrs / 5.9 / 177cms / Fair / A+, , Maharashtra, India, Automobile related works, 356000 INR, Aquarius. 29 Yrs / 5.6 / 168cms / Fair / O+, Kalyan-Dombivli (M Corp.), Maharashtra, India, Software Engineer , 460000 INR, Scorpio. 30 Yrs / 5.6 / 168cms / Fair / O+, Kalyan-Dombivli (M Corp.), Maharashtra, India, Software Engineer , 650000 INR, Scorpio. 28 Yrs / 5.5 / 165cms / Very fair / O+, Pimpri Chinchwad (M Corp.), Maharashtra, India, Engineer, 180000 INR, NOT KNOWN . 25 Yrs / 5.8 / 174cms / Fair / A-, Pimpri Chinchwad (M Corp.), Maharashtra, India, Software Engineer , 420000 INR, Sagittarius. 32 Yrs / 5.7 / 171cms / Fair / A+, Sakari, Maharashtra, India, Service , 480000 INR, Scorpio. 30 Yrs / 5.6 / 168cms / Fair / A+, , Maharashtra, India, Service , 350000 INR, Scorpio. 34 Yrs / 5.2 / 156cms / Fair / A+, Nashik (M Corp.), Maharashtra, India, Automobile related works, 13000 INR, Virgo. 29 Yrs / 5.6 / 168cms / wheatish / AB+, Nashik (M Corp.), Maharashtra, India, Service , 228000 INR, Leo. 27 Yrs / 5.6 / 168cms / wheatish / A+, , Maharashtra, India, Engineer, 660000 INR, Virgo. 31 Yrs / 5.9 / 177cms / Fair / B+, Chakan (CT), Maharashtra, India, Service , 240000 INR, NOT KNOWN . 29 Yrs / 5.8 / 174cms / Fair / AB+, , Maharashtra, India, Software Engineer , 4550000 INR, NOT KNOWN . 30 Yrs / 5.10 / 153cms / Fair / B+, , Maharashtra, India, Service , 500000 INR, NOT KNOWN . 24 Yrs / 5.8 / 174cms / Very fair / AB+, Hathijan, Maharashtra, India, Accountant , 216000 INR, Sagittarius. 28 Yrs / 6 / 180cms / Fair / A+, Kalyan-Dombivli (M Corp.), Maharashtra, India, Other , 370000 INR, Sagittarius. 28 Yrs / 5.10 / 153cms / Fair / AB+, Kumbharkhade, Maharashtra, India, Agricultural Technician, 180000 INR, Pisces. 28 Yrs / 6 / 180cms / Fair / AB+, Keshavnagar-Mundwa (N.V.), Maharashtra, India, Software Engineer , 600000 INR, Taurus. 32 Yrs / 5.5 / 165cms / wheatish / A+, Muktainagar, Maharashtra, India, Lab assistant, 173200 INR, Scorpio. 26 Yrs / 5.9 / 177cms / Fair / B+, Kalyan-Dombivli (M Corp.), Maharashtra, India, , 2800000 INR, Leo. 27 Yrs / 6.1 / 183cms / Very fair / A+, Rahuri New, Maharashtra, India, Service , 115000 INR, . 29 Yrs / 5.11 / 153.3cms / Fair / B+, Jalgaon (M Corp.), Maharashtra, India, Other , 720000 INR, Aquarius. 27 Yrs / 5.7 / 171cms / Fair / B-, Faizpur (M Cl), Maharashtra, India, Engineer, 288000 INR, Sagittarius. 28 Yrs / 5.7 / 171cms / Fair / A-, , Maharashtra, India, Engineer, 310000 INR, Aquarius. 28 Yrs / 5.6 / 168cms / wheatish / O+, Navi Mumbai (M Corp.), Maharashtra, India, Engineer, 400000 INR, Pisces. 27 Yrs / 6 / 180cms / Fair / O+, Nashirabad, Maharashtra, India, Business , 420000 INR, Gemini. 28 Yrs / 5.5 / 165cms / Fair / A+, Malkapur (M Cl), Maharashtra, India, Service , 350000 INR, NOT KNOWN . 27 Yrs / 5.8 / 174cms / wheatish / A+, Boisar (CT), Maharashtra, India, Service , 170000 INR, . 28 Yrs / 5.11 / 153.3cms / Fair / A+, , Maharashtra, India, Engineer, 360000 INR, Pisces. 27 Yrs / 5.4 / 162cms / Fair / A+, Kanalde, Maharashtra, India, Service , 120000 INR, . 28 Yrs / 5.4 / 162cms / Fair / Dont know/माहिती नाही , Surat (M Corp. + OG) (Part), Maharashtra, India, Business , 250000 INR, Leo. 28 Yrs / 5.6 / 168cms / wheatish / O-, Mulund, Maharashtra, India, Doctor, 800000 INR, Cancer. 33 Yrs / 5.10 / 153cms / Fair / AB+, Jambhulpada?, Maharashtra, India, Software Engineer , 780000 INR, Gemini. 28 Yrs / 5.2 / 156cms / Fair / B+, Navi Mumbai (M Corp.), Maharashtra, India, Engineer, 252000 INR, Pisces. 29 Yrs / 5.7 / 171cms / Fair / AB+, Surat (M Corp. + OG) (Part), Maharashtra, India, Medical (Medicin related works), 360000 INR, Cancer. 31 Yrs / 5.8 / 174cms / Fair / B+, Faizpur (M Cl), Maharashtra, India, Medical (Medicin related works), 600000 INR, Taurus. 31 Yrs / 5.7 / 171cms / wheatish / O+, Aurangabad (M Corp.), Maharashtra, India, Service , 168000 INR, NOT KNOWN . 27 Yrs / 5.9 / 177cms / Very fair / B+, Varangaon (CT), Maharashtra, India, Service , 126000 INR, NOT KNOWN . 31 Yrs / 5.11 / 153.3cms / Fair / A+, Buldana (M Cl), Maharashtra, India, Software Engineer , 400000 INR, Leo. 34 Yrs / 5.6 / 168cms / Fair / AB+, Uruli Kanchan, Maharashtra, India, Professar, 25000 INR, Libra. 26 Yrs / 5.3 / 159cms / Fair / O+, Changdeo, Maharashtra, India, Service , 162000 INR, NOT KNOWN . 33 Yrs / 5.4 / 162cms / wheatish / B+, Kosamadi, Maharashtra, India, Service , 288000 INR, Aquarius. 27 Yrs / 5.8 / 174cms / wheatish / O+, Nimbhore Budruk (CT), Maharashtra, India, Construction related works, 500000 INR, Leo. 28 Yrs / 5.4 / 162cms / / Dont know/माहिती नाही , Bhusawal (M Cl), Maharashtra, India, Service , 180000 INR, . 31 Yrs / 5.6 / 168cms / wheatish / Dont know/माहिती नाही , Chipale?, Maharashtra, India, Service , 720000 INR, Gemini. 28 Yrs / 5.5 / 165cms / Fair / B+, Palsana, Maharashtra, India, Engineer, 240000 INR, . 30 Yrs / 5.10 / 153cms / wheatish / B+, Jalgaon (M Corp.), Maharashtra, India, Other , 300000 INR, NOT KNOWN . 33 Yrs / 5.11 / 153.3cms / Fair / A+, Jalgaon (M Corp.), Maharashtra, India, Software Engineer , 1000000 INR, . 28 Yrs / 5.8 / 174cms / wheatish / B+, Nashik (M Corp.), Maharashtra, India, Service , 480000 INR, NOT KNOWN . 30 Yrs / 5.7 / 171cms / Brown / AB+, Jalgaon (M Corp.), Maharashtra, India, Other , 450000 INR, Aries. 27 Yrs / 5.11 / 153.3cms / Fair / A+, Ulhasnagar (M Corp.), Maharashtra, India, Other , 550600 INR, Cancer. 36 Yrs / 5.8 / 174cms / Fair / Dont know/माहिती नाही , Jalgaon (M Corp.), Maharashtra, India, Service , 115200 INR, NOT KNOWN . 30 Yrs / 5.7 / 171cms / Fair / B+, Pune (M Corp.), Maharashtra, India, Engineer, 475000 INR, . 25 Yrs / 5.4 / 162cms / wheatish / B+, Navi Mumbai (M Corp.), Maharashtra, India, Doctor, 0 INR, Libra. 32 Yrs / 5.6 / 168cms / Fair / B-, , Maharashtra, India, Service , 200000 INR, Libra. 28 Yrs / 5.5 / 165cms / wheatish / B+, Talwel, Maharashtra, India, Service , 216000 INR, NOT KNOWN . 29 Yrs / 5.7 / 171cms / Fair / O+, , Maharashtra, India, Engineer, 240000 INR, Virgo. 30 Yrs / 5.8 / 174cms / wheatish / A+, Khirdi Kh., Maharashtra, India, Clerck, 360000 INR, Scorpio. 28 Yrs / 6 / 180cms / Fair / B+, Nashik (M Corp.), Maharashtra, India, Engineer, 204000 INR, Taurus. 28 Yrs / 5.10 / 153cms / Fair / A+, Pune (M Corp.), Maharashtra, India, Service , 600000 INR, . 29 Yrs / 5.6 / 168cms / wheatish / AB+, Ranjangaon Ganpati, Maharashtra, India, Other , 300000 INR, Sagittarius. 28 Yrs / 5.5 / 165cms / Fair / O+, Pune (CB), Maharashtra, India, Other , 420000 INR, Taurus. 28 Yrs / 5.7 / 171cms / Fair / B+, Dewas (M Corp.), Maharashtra, India, Business , 240000 INR, Libra. 34 Yrs / 5.7 / 171cms / wheatish / O+, Pimpri Chinchwad (M Corp.), Maharashtra, India, Engineer, 271000 INR, Aquarius. 33 Yrs / 5.5 / 165cms / Fair / B+, Pune (CB), Maharashtra, India, Software Engineer , 600000 INR, Aries. 31 Yrs / 5.4 / 162cms / Fair / B+, Bhusawal (M Cl), Maharashtra, India, Service , 300000 INR, NOT KNOWN . 26 Yrs / 5.8 / 174cms / Fair / Dont know/माहिती नाही , Pimpri Chinchwad (M Corp.), Maharashtra, India, Service , 336000 INR, Virgo. 31 Yrs / 5.11 / 153.3cms / Fair / O+, , Maharashtra, India, Service , 225000 INR, Capricorn. 27 Yrs / 5.6 / 168cms / Brown / O+, Vadodara (M Corp. + OG), Maharashtra, India, Engineer, 200000 INR, Aquarius. 26 Yrs / 5.8 / 174cms / Fair / A-, Bhusawal (M Cl), Maharashtra, India, Service , 180000 INR, NOT KNOWN . 28 Yrs / 5.7 / 171cms / Fair / B+, Nashik (M Corp.), Maharashtra, India, Engineer, 400000 INR, Capricorn. 28 Yrs / 5.11 / 153.3cms / Fair / Dont know/माहिती नाही , Bhusawal (M Cl), Maharashtra, India, Business , 450000 INR, NOT KNOWN . 42 Yrs / 5.5 / 165cms / Fair / O+, Boisar (CT), Maharashtra, India, Lab Incharge, 250000 INR, Virgo. 27 Yrs / 5.7 / 171cms / Fair / O+, Malkapur (M Cl), Maharashtra, India, Professar, 500000 INR, . 27 Yrs / 5.5 / 165cms / Fair / O+, , Maharashtra, India, Service , 325000 INR, Aquarius. 27 Yrs / 5.9 / 177cms / Fair / O+, Byappanahalli, Maharashtra, India, Engineer, 900000 INR, Scorpio. 27 Yrs / 5.8 / 174cms / Fair / AB+, DASHAK, Maharashtra, India, Medical (Medicin related works), 440000 INR, NOT KNOWN . 31 Yrs / 5.3 / 159cms / Very fair / Dont know/माहिती नाही , Muktainagar, Maharashtra, India, Farming, 120000 INR, Scorpio. 31 Yrs / 5.5 / 165cms / Fair / B-, Wagholi (CT), Maharashtra, India, Service , 600000 INR, Virgo. 24 Yrs / 5.6 / 168cms / Brown / AB+, Pune (M Corp.), Maharashtra, India, Engineer, 400000 INR, Scorpio. 32 Yrs / 5.8 / 174cms / Fair / A+, Kalyan-Dombivli (M Corp.), Maharashtra, India, Software Engineer , 765000 INR, Aries. 29 Yrs / 5.8 / 174cms / Fair / B+, Thane (M Corp.), Maharashtra, India, Engineer, 600000 INR, Libra. 27 Yrs / 5.7 / 171cms / Fair / O+, Nhavi Pr. Yaval, Maharashtra, India, Farming, 1000000 INR, . 34 Yrs / 5.6 / 168cms / Fair / O+, Nhavi Pr. Yaval, Maharashtra, India, Business , 126000 INR, Gemini. 25 Yrs / 5.9 / 177cms / Fair / O+, Pimpri Chinchwad (M Corp.), Maharashtra, India, Workshop Fabrication, 240000 INR, Aquarius. 22 Yrs / 4.8 / 144cms / Fair / AB+, Bhalod, Maharashtra, India, , 0 INR, Leo. 28 Yrs / 5.11 / 153.3cms / Fair / A+, Pune (M Corp.), Maharashtra, India, Software Engineer , 780000 INR, Leo. 30 Yrs / 5.7 / 171cms / Fair / AB+, Nashirabad, Maharashtra, India, Clerck, 360000 INR, . 24 Yrs / 6 / 180cms / Very fair / A+, Nashik (M Corp.), Maharashtra, India, Business , 8000000 INR, NOT KNOWN . 28 Yrs / 5.7 / 171cms / Fair / A+, Jalgaon (M Corp.), Maharashtra, India, Engineer, 600000 INR, Leo. 24 Yrs / 5.8 / 174cms / wheatish / O+, Nashik (M Corp.), Maharashtra, India, Business , 480000 INR, Leo. 29 Yrs / 5.10 / 153cms / Fair / AB+, Thane (M Corp.), Maharashtra, India, Engineer, 650000 INR, Virgo. 29 Yrs / 5.9 / 177cms / Fair / O+, , Maharashtra, India, Automobile related works, 300000 INR, Pisces. 30 Yrs / 5.11 / 153.3cms / wheatish / A+, , Maharashtra, India, Engineer, 480000 INR, Virgo. 27 Yrs / 5.7 / 171cms / Fair / O+, Sangli Miraj Kupwad (M Corp.), Maharashtra, India, Doctor, 625000 INR, . 24 Yrs / 5.3 / 159cms / Fair / AB+, Nashik (M Corp.), Maharashtra, India, Service , 180000 INR, Aquarius. 27 Yrs / 5.6 / 168cms / wheatish / AB+, Kanjur, Maharashtra, India, Software Engineer , 750000 INR, Sagittarius. 33 Yrs / 5.9 / 177cms / Fair / AB+, Thane (M Corp.), Maharashtra, India, Accountant , 289000 INR, Leo. 26 Yrs / 6 / 180cms / Brown / B-, , Maharashtra, India, , 132000 INR, Virgo. 27 Yrs / 5.8 / 174cms / Fair / A+, , Maharashtra, India, Software Engineer , 600000 INR, Capricorn. 28 Yrs / 5.9 / 177cms / Fair / B+, Yawal (rural), Maharashtra, India, Business , 600000 INR, Aquarius. 32 Yrs / 5.8 / 174cms / Fair / AB+, , Maharashtra, India, Area manager , 300000 INR, Sagittarius. 29 Yrs / 5.6 / 168cms / Fair / B+, Pune (M Corp.), Maharashtra, India, Other , 600000 INR, Leo. 26 Yrs / 5.5 / 165cms / Fair / A-, , Maharashtra, India, Engineer, 680000 INR, Capricorn. 26 Yrs / 5.5 / 165cms / wheatish / Dont know/माहिती नाही , Nashik (M Corp.), Maharashtra, India, Service , 144000 INR, Leo. 26 Yrs / 5.7 / 171cms / Fair / B-, Ambarnath (R), Maharashtra, India, Software Engineer , 700000 INR, Aries. 30 Yrs / 5.8 / 174cms / Fair / O+, , Maharashtra, India, Engineer, 444000 INR, Virgo. 26 Yrs / 5.6 / 168cms / Brown / AB+, , Maharashtra, India, Other , 600000 INR, Pisces. 29 Yrs / 5.6 / 168cms / Fair / A+, Sakegaon, Maharashtra, India, Service , 300000 INR, Pisces. 29 Yrs / 5.6 / 168cms / Fair / A+, Goregaon, Maharashtra, India, Engineer, 588000 INR, Leo. 30 Yrs / 5.9 / 177cms / Fair / AB+, Ahmadnagar (CB), Maharashtra, India, Service , 390000 INR, Libra. 31 Yrs / 5.9 / 177cms / Fair / O+, Nashik (M Corp.), Maharashtra, India, Service , 150000 INR, . 30 Yrs / 6 / 180cms / Fair / B+, , Maharashtra, India, Service , 252000 INR, Virgo. 32 Yrs / 5.9 / 177cms / Fair / A+, Kalyan-Dombivli (M Corp.), Maharashtra, India, Engineer, 25000 INR, Libra. 28 Yrs / 5.6 / 168cms / wheatish / B+, Anklesvar (INA), Maharashtra, India, Other , 450000 INR, Leo. 27 Yrs / 5.6 / 168cms / Fair / O+, Ozar (CT), Maharashtra, India, , 285000 INR, . 27 Yrs / 6 / 180cms / Fair / A+, , Maharashtra, India, Engineer, 1000000 INR, Leo. 26 Yrs / 5.4 / 162cms / Fair / O+, , Maharashtra, India, Software Engineer , 850000 INR, Sagittarius. 27 Yrs / 5.7 / 171cms / Fair / O+, Pimpri Chinchwad (M Corp.), Maharashtra, India, Software Engineer , 600000 INR, Aries. 27 Yrs / 5.2 / 156cms / Fair / , , Maharashtra, India, Other , 200000 INR, Libra. 26 Yrs / 5.8 / 174cms / Very fair / A+, , Maharashtra, India, Engineer, 350000 INR, Virgo. 31 Yrs / 5.11 / 153.3cms / Fair / B+, Pimpri Chinchwad (M Corp.), Maharashtra, India, Service , 192000 INR, Libra. 29 Yrs / 5.10 / 153cms / Fair / AB+, Aurangabad (CB), Maharashtra, India, Engineer, 360000 INR, Capricorn. 29 Yrs / 5.8 / 174cms / Fair / B+, Sakari, Maharashtra, India, Service , 208380 INR, NOT KNOWN . 32 Yrs / 5.5 / 165cms / Fair / B+, Saphale, Maharashtra, India, Engineer, 400000 INR, NOT KNOWN . 35 Yrs / 5.11 / 153.3cms / Very fair / A+, Jalgaon (M Corp.), Maharashtra, India, Doctor, 960000 INR, NOT KNOWN . 26 Yrs / 5.4 / 162cms / Fair / B+, , Maharashtra, India, Lab assistant, 210000 INR, Pisces. 31 Yrs / 5.7 / 171cms / Fair / A+, Bhusawal (M Cl), Maharashtra, India, Business , 500000 INR, . 47 Yrs / 5.8 / 174cms / wheatish / AB+, , Maharashtra, India, Service , 180000 INR, Scorpio. 27 Yrs / 5.8 / 174cms / Very fair / A+, , Maharashtra, India, Engineer, 480000 INR, NOT KNOWN . 29 Yrs / 6 / 180cms / Fair / A+, Niphad, Maharashtra, India, Accountant , 340000 INR, Aries. 27 Yrs / 5.11 / 153.3cms / wheatish / B-, Ahmadabad (M Corp.) (Part), Maharashtra, India, Engineer, 300000 INR, Libra. 27 Yrs / 5.5 / 165cms / wheatish / B+, Nashik (M Corp.), Maharashtra, India, Service , 216000 INR, Leo. 32 Yrs / 5.5 / 165cms / Fair / , Varad Seem, Maharashtra, India, Service , 192000 INR, . 38 Yrs / 5.7 / 171cms / Fair / O+, Khandwa (M Corp.), Maharashtra, India, Service , 180000 INR, NOT KNOWN . 34 Yrs / 6 / 180cms / Fair / AB+, Jalgaon (M Corp.), Maharashtra, India, Service , 450000 INR, Sagittarius. 37 Yrs / 5.7 / 171cms / Fair / AB+, Nashirabad, Maharashtra, India, Service , 180000 INR, NOT KNOWN . 33 Yrs / 5.7 / 171cms / Fair / AB+, Faizpur (M Cl), Maharashtra, India, Service , 246000 INR, . 27 Yrs / 5.5 / 165cms / wheatish / B+, Jalgaon (M Corp.), Maharashtra, India, Service , 174000 INR, . 38 Yrs / 5.5 / 165cms / Fair / Dont know/माहिती नाही , Gojore, Maharashtra, India, Business , 250000 INR, . 35 Yrs / 5.7 / 171cms / wheatish / AB+, Nashik (M Corp.), Maharashtra, India, Software Engineer , 480000 INR, Aries. 31 Yrs / 5.9 / 177cms / wheatish / Dont know/माहिती नाही , Jalgaon (M Corp.), Maharashtra, India, Service , 252000 INR, NOT KNOWN . 28 Yrs / 5.9 / 177cms / wheatish / B+, Amaliyara, Maharashtra, India, Service , 2050000 INR, Sagittarius. 28 Yrs / 5.11 / 153.3cms / wheatish / A+, Pimpale Gurav, Maharashtra, India, Service , 300000 INR, NOT KNOWN . 32 Yrs / 5.7 / 171cms / Fair / B+, Bhusawal (M Cl), Maharashtra, India, Teaching, 48000 INR, Capricorn. 37 Yrs / 5.6 / 168cms / Fair / B+, Kalyan-Dombivli (M Corp.), Maharashtra, India, Service , 275000 INR, Taurus. 30 Yrs / 5.4 / 162cms / Fair / Dont know/माहिती नाही , Bhusawal (M Cl), Maharashtra, India, Business , 240000 INR, NOT KNOWN . 36 Yrs / 5.9 / 177cms / Fair / Dont know/माहिती नाही , Jalgaon (M Corp.), Maharashtra, India, Service , 240000 INR, NOT KNOWN . 37 Yrs / 5.5 / 165cms / wheatish / A+, Vadodara (M Corp. + OG), Maharashtra, India, Service , 324000 INR, . 30 Yrs / 5.5 / 165cms / wheatish / O+, Nhavi Pr. Yaval, Maharashtra, India, Lab assistant, 129600 INR, . 37 Yrs / 5.6 / 168cms / Fair / B+, Jalgaon (M Corp.), Maharashtra, India, Lab assistant, 121824 INR, . 30 Yrs / 5.5 / 165cms / Fair / Dont know/माहिती नाही , Murbad (CT), Maharashtra, India, Service , 204000 INR, . 36 Yrs / 5.6 / 168cms / wheatish / Dont know/माहिती नाही , Bhusawal (M Cl), Maharashtra, India, Service , 360000 INR, NOT KNOWN . 30 Yrs / 5.3 / 159cms / Fair / AB+, , Maharashtra, India, Service , 348000 INR, NOT KNOWN . 39 Yrs / 5.8 / 174cms / Fair / AB+, Aurangabad (M Corp.), Maharashtra, India, Advocate, 410000 INR, Pisces. 31 Yrs / 5.7 / 171cms / Fair / B+, Jalgaon (M Corp.), Maharashtra, India, Builder, 300000 INR, . 27 Yrs / 5.5 / 165cms / Fair / A+, Savda (M Cl), Maharashtra, India, Business , 300000 INR, NOT KNOWN . 28 Yrs / 6 / 180cms / Fair / O+, Faizpur (M Cl), Maharashtra, India, Business , 420000 INR, NOT KNOWN . 20 Yrs / 5.7 / 171cms / Fair / Dont know/माहिती नाही , Udhali Kh, Maharashtra, India, Service , 36000 INR, NOT KNOWN . 35 Yrs / 5.3 / 159cms / Fair / A+, Kalyan-Dombivli (M Corp.), Maharashtra, India, Service , 240000 INR, Sagittarius. 36 Yrs / 5.8 / 174cms / Fair / B-, Pune (CB), Maharashtra, India, Service , 432000 INR, Aries. 33 Yrs / 5.4 / 162cms / Fair / B+, Aurangabad (CB), Maharashtra, India, , 420000 INR, . 28 Yrs / 5.7 / 171cms / wheatish / A+, Mira-Bhayandar (M Corp.), Maharashtra, India, Service , 360000 INR, NOT KNOWN . 39 Yrs / 5.4 / 162cms / Fair / AB-, , Maharashtra, India, Business , 600000 INR, . 36 Yrs / / 0cms / wheatish / B+, Kalyan-Dombivli (M Corp.), Maharashtra, India, Business , 420000 INR, Aries. 38 Yrs / 5.7 / 171cms / Fair / A-, Kalyan-Dombivli (M Corp.), Maharashtra, India, , 456000 INR, NOT KNOWN . 32 Yrs / 5.8 / 174cms / Fair / B+, Surat (M Corp. + OG) (Part), Maharashtra, India, Business , 720000 INR, NOT KNOWN . 30 Yrs / 5.10 / 153cms / Very fair / Dont know/माहिती नाही , Jalgaon (M Corp.), Maharashtra, India, Service , 120000 INR, Taurus. 28 Yrs / 6.2 / 186cms / Fair / O+, Chambur, Maharashtra, India, Service , 240000 INR, Sagittarius. 50 Yrs / 5.7 / 171cms / Fair / A-, , Maharashtra, India, Other , 1020000 INR, Libra. 27 Yrs / 5.2 / 156cms / Brown / B+, Padalse, Maharashtra, India, Engineer, 180000 INR, Scorpio. 36 Yrs / 6 / 180cms / Fair / B+, , Maharashtra, India, Service , 300000 INR, Gemini. 31 Yrs / 5.6 / 168cms / wheatish / AB+, Nhavi Pr. Yaval, Maharashtra, India, , 800000 INR, NOT KNOWN . 31 Yrs / 6 / 180cms / Fair / B+, , Maharashtra, India, Service , 680000 INR, Scorpio. 31 Yrs / 5.9 / 177cms / wheatish / A+, Jalgaon (M Corp.), Maharashtra, India, Other , 480000 INR, . 24 Yrs / 5.8 / 174cms / Fair / A+, Anklesvar (INA), Maharashtra, India, Accountant , 1150000 INR, Aquarius. 30 Yrs / 5.6 / 168cms / Very fair / A+, , Maharashtra, India, Other , 300000 INR, Taurus. 29 Yrs / 5.6 / 168cms / Fair / A+, Pune (M Corp.), Maharashtra, India, Other , 420000 INR, . 35 Yrs / 5.5 / 165cms / Fair / AB+, Nagpur (M Corp.), Maharashtra, India, Business , 1000000 INR, Cancer. 33 Yrs / 5.8 / 174cms / wheatish / AB+, Nashik (M Corp.), Maharashtra, India, Medical (Medicin related works), 500000 INR, Capricorn. 27 Yrs / 5.6 / 168cms / Fair / Dont know/माहिती नाही , , Maharashtra, India, Medical (Medicin related works), 198000 INR, Libra. 30 Yrs / 5.11 / 153.3cms / Fair / AB+, Akola (M Corp.), Maharashtra, India, Service , 384000 INR, Capricorn. 24 Yrs / 5.9 / 177cms / Fair / O+, , Maharashtra, India, Software Engineer , 550000 INR, Aquarius. 31 Yrs / 5.6 / 168cms / Fair / O+, , Maharashtra, India, Service , 240000 INR, . 30 Yrs / 5.4 / 162cms / Fair / , Kalyan-Dombivli (M Corp.), Maharashtra, India, Service , 252000 INR, NOT KNOWN . 31 Yrs / 5.10 / 153cms / Fair / A+, Nashik (M Corp.), Maharashtra, India, Engineer, 3960000 INR, Libra. 28 Yrs / 5.8 / 174cms / Fair / AB+, Phattepur, Maharashtra, India, Service , 426000 INR, . 25 Yrs / 5.6 / 168cms / wheatish / A+, Bhamnod, Maharashtra, India, Other , 400000 INR, Leo. 26 Yrs / 5.7 / 171cms / Fair / AB+, , Maharashtra, India, Engineer, 280000 INR, Aquarius. 28 Yrs / 5.8 / 174cms / Fair / B+, , Maharashtra, India, Business , 300000 INR, Scorpio. 30 Yrs / 5.8 / 174cms / Fair / O+, Chinchwad, Maharashtra, India, Service , 264000 INR, . 30 Yrs / 5.8 / 174cms / Fair / O+, Jalgaon (M Corp.), Maharashtra, India, Business , 360000 INR, . 26 Yrs / 5.4 / 162cms / Fair / A+, Waluj Bk. (CT), Maharashtra, India, Automobile related works, 192000 INR, . 32 Yrs / 5.5 / 165cms / Fair / , , Maharashtra, India, Service , 450000 INR, Gemini. 27 Yrs / 6 / 180cms / Fair / A+, Indore (M Corp. + OG), Maharashtra, India, Software Engineer , 1950000 INR, Capricorn. 25 Yrs / 5.9 / 177cms / Very fair / O+, , Maharashtra, India, Other , 400000 INR, Pisces. 29 Yrs / 5.8 / 174cms / wheatish / AB+, Yawal (M Cl), Maharashtra, India, Lab Incharge, 276000 INR, Sagittarius. 27 Yrs / 5.7 / 171cms / Fair / O+, Chakan (CT), Maharashtra, India, Business , 1450000 INR, Aquarius. 23 Yrs / 5.5 / 165cms / Fair / AB+, Varangaon (CT), Maharashtra, India, Polictics / Social worker, 120000 INR, Aries. 31 Yrs / 6.1 / 183cms / Very fair / B+, Navi Mumbai (M Corp.), Maharashtra, India, Doctor, 980000 INR, Taurus. 35 Yrs / 5.7 / 171cms / Fair / A+, Bhusawal (Rural), Maharashtra, India, Service , 244000 INR, Sagittarius. 37 Yrs / 5.8 / 174cms / Fair / B+, Pimpale Gurav, Maharashtra, India, Business , 1000000 INR, . 28 Yrs / 5.10 / 153cms / Fair / A+, , Maharashtra, India, Doctor, 700000 INR, Scorpio. 48 Yrs / 5.3 / 159cms / Very fair / A+, Sangvi Bk, Maharashtra, India, Business , 300000 INR, Aquarius. 41 Yrs / 5.9 / 177cms / Fair / , Bhalod, Maharashtra, India, Farming, 200000 INR, . 29 Yrs / 5.4 / 162cms / wheatish / B+, , Maharashtra, India, Other , 144000 INR, Gemini. 24 Yrs / 5.9 / 177cms / Fair / , Jalgaon Kh., Maharashtra, India, Business , 450000 INR, Gemini. 27 Yrs / 5.5 / 165cms / Fair / B+, Bhusawal (M Cl), Maharashtra, India, Medical (Medicin related works), 240000 INR, Gemini. 30 Yrs / 5.5 / 165cms / Fair / O+, , Maharashtra, India, Other , 480000 INR, . 27 Yrs / 5.7 / 171cms / Fair / A+, Pune (CB), Maharashtra, India, Service , 216000 INR, . 32 Yrs / 5.7 / 171cms / Fair / B+, , Maharashtra, India, Doctor, 830000 INR, Virgo. 27 Yrs / 5.10 / 153cms / Fair / O+, Ambarnath(M Cl), Maharashtra, India, Other , 900000 INR, Aquarius. 26 Yrs / 5.11 / 153.3cms / Fair / A+, Bhopal (M Corp.), Maharashtra, India, Other , 400000 INR, Aquarius. 45 Yrs / 5.7 / 171cms / wheatish / A+, , Maharashtra, India, Teaching, 625000 INR, Sagittarius. 32 Yrs / 5.6 / 168cms / wheatish / O+, Jalgaon (M Corp.), Maharashtra, India, Service , 120000 INR, Taurus. 32 Yrs / 5.8 / 174cms / Fair / , , Maharashtra, India, Business , 216000 INR, NOT KNOWN . 28 Yrs / 5.6 / 168cms / Fair / AB+, Pune (CB), Maharashtra, India, Software Engineer , 480000 INR, . 29 Yrs / 5.8 / 174cms / Fair / AB+, , Maharashtra, India, Engineer, 450000 INR, Gemini. 28 Yrs / 5.8 / 174cms / Fair / A+, Pune (M Corp.), Maharashtra, India, Business , 1000000 INR, Virgo. 30 Yrs / 5.8 / 174cms / Fair / AB+, Padalse, Maharashtra, India, Agricultural Consultant, 210000 INR, Gemini. 28 Yrs / 5.3 / 159cms / Brown / AB+, Kinhi, Maharashtra, India, Business , 430000 INR, NOT KNOWN . 36 Yrs / 5.9 / 177cms / Fair / B+, Kalyan-Dombivli (M Corp.), Maharashtra, India, Service , 264000 INR, NOT KNOWN . 27 Yrs / 4.8 / 144cms / Fair / B+, Pune (CB), Maharashtra, India, Engineer, 380000 INR, Pisces. 29 Yrs / 5.6 / 168cms / wheatish / B+, DASHAK, Maharashtra, India, Service , 300000 INR, Gemini. 25 Yrs / 5.11 / 153.3cms / Fair / , Andheri, Maharashtra, India, Automobile related works, 310000 INR, Virgo. 27 Yrs / 5.6 / 168cms / wheatish / B+, Achegaon, Maharashtra, India, Engineer, 462000 INR, . 28 Yrs / 5.9 / 177cms / Fair / O+, Nashik (M Corp.), Maharashtra, India, Automobile related works, 216000 INR, Libra. 32 Yrs / / 0cms / Fair / B+, , Maharashtra, India, Engineer, 600000 INR, Pisces. 37 Yrs / 5.3 / 159cms / wheatish / O+, Bhusawal (M Cl), Maharashtra, India, Teaching, 80000 INR, Capricorn. 31 Yrs / 5.7 / 171cms / Very fair / B+, Varangaon (CT), Maharashtra, India, Farming, 300000 INR, . 33 Yrs / 6.2 / 186cms / Very fair / B+, , Maharashtra, India, Farming, 300000 INR, Cancer. 31 Yrs / 5.7 / 171cms / Fair / A+, Bhalod, Maharashtra, India, Doctor, 240000 INR, Leo. 33 Yrs / 6.1 / 183cms / Fair / AB+, Kalyan-Dombivli (M Corp.), Maharashtra, India, Service , 1600000 INR, Capricorn. 26 Yrs / 5.5 / 165cms / Fair / B+, , Maharashtra, India, Other , 220000 INR, . 27 Yrs / 5.8 / 174cms / Fair / A+, , Maharashtra, India, , 410000 INR, Libra. 28 Yrs / 5.11 / 153.3cms / Fair / AB+, Kalyan-Dombivli (M Corp.), Maharashtra, India, Engineer, 750000 INR, Taurus. 29 Yrs / 5.11 / 153.3cms / Fair / Dont know/माहिती नाही , Jalgaon (M Corp.), Maharashtra, India, Service , 216000 INR, NOT KNOWN . 26 Yrs / 5.11 / 153.3cms / Fair / A+, Navi Mumbai (M Corp.), Maharashtra, India, Business , 600000 INR, Cancer. 35 Yrs / 5.7 / 171cms / Fair / O+, Jalgaon (M Corp.), Maharashtra, India, Teaching, 900000 INR, Leo. 26 Yrs / 5.8 / 174cms / Fair / O+, , Maharashtra, India, Other , 336000 INR, . 36 Yrs / 5.5 / 165cms / / , Nashik (M Corp.), Maharashtra, India, Service , 168000 INR, . 30 Yrs / 5.9 / 177cms / wheatish / A+, Chandrapur (M Cl), Maharashtra, India, Service , 300000 INR, Sagittarius. 28 Yrs / 5.9 / 177cms / wheatish / O-, , Maharashtra, India, Area manager , 240000 INR, Virgo. 26 Yrs / 5.11 / 153.3cms / Fair / B+, , Maharashtra, India, Service , 264000 INR, Aquarius. 24 Yrs / 5.9 / 177cms / Fair / O+, , Maharashtra, India, Engineer, 600000 INR, Aries. 52 Yrs / 5.11 / 153.3cms / Fair / O+, , Maharashtra, India, Area manager , 10382868 INR, Pisces. 27 Yrs / 6.2 / 186cms / Fair / B-, Mulund, Maharashtra, India, Software Engineer , 7550000 INR, Cancer. 34 Yrs / 5.6 / 168cms / Fair / B+, Nashik (M Corp.), Maharashtra, India, Teaching, 244000 INR, Virgo. 25 Yrs / 5.9 / 177cms / Fair / A+, Bhusawal (M Cl), Maharashtra, India, Clerck, 330000 INR, Sagittarius. 40 Yrs / / 0cms / wheatish / Dont know/माहिती नाही , , Maharashtra, India, Service , 216000 INR, NOT KNOWN . 31 Yrs / 6.1 / 183cms / Fair / O-, Jalgaon Kh., Maharashtra, India, , 0 INR, Capricorn. 29 Yrs / 5.7 / 171cms / wheatish / B+, Nashik (M Corp.), Maharashtra, India, Service , 456000 INR, NOT KNOWN . 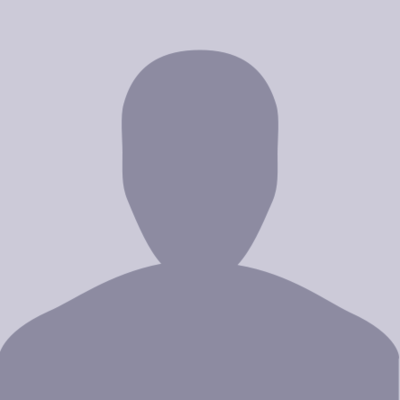 0 Yrs / 5.8 / 174cms / Fair / O+, Faizpur (M Cl), Maharashtra, India, Business , 420000 INR, Libra. 29 Yrs / 5.11 / 153.3cms / Fair / O+, Pune (M Corp.), Maharashtra, India, Business , 1800000 INR, Libra. 31 Yrs / 5.6 / 168cms / Fair / B+, Eklahare (CT), Maharashtra, India, Software Engineer , 837000 INR, Cancer. 30 Yrs / 5.5 / 165cms / Fair / B+, Bhusawal (Rural), Maharashtra, India, Business , 300000 INR, NOT KNOWN . 28 Yrs / / 0cms / / , , Maharashtra, India, , 260000 INR, . 35 Yrs / 5.10 / 153cms / Fair / A+, Savda (M Cl), Maharashtra, India, Business , 480000 INR, NOT KNOWN . 31 Yrs / 5.9 / 177cms / Fair / AB+, , Maharashtra, India, Engineer, 300000 INR, Leo. 28 Yrs / 5.8 / 174cms / Fair / A-, Badlapur (M Cl), Maharashtra, India, Software Engineer , 2200000 INR, Virgo. 32 Yrs / 6.1 / 183cms / Fair / A-, , Maharashtra, India, Business , 70000 INR, Leo. 23 Yrs / 6.3 / 189cms / wheatish / A+, Tarapur (CT), Maharashtra, India, Other , 174000 INR, Cancer. 29 Yrs / 5.11 / 153.3cms / Fair / A+, , Maharashtra, India, Engineer, 757800 INR, Scorpio. 30 Yrs / 5.9 / 177cms / Fair / O+, Andheri, Maharashtra, India, Engineer, 501000 INR, Cancer. 29 Yrs / 5.8 / 174cms / wheatish / B+, Nandgaon (M Cl), Maharashtra, India, Service , 276000 INR, Leo. 30 Yrs / 5.9 / 177cms / Fair / Dont know/माहिती नाही , , Maharashtra, India, Engineer, 120000 INR, Leo. 28 Yrs / 5.11 / 153.3cms / Brown / AB+, Jalgaon (M Corp.), Maharashtra, India, Business , 1500000 INR, Libra. 32 Yrs / 5.11 / 153.3cms / Fair / B+, Pune (CB), Maharashtra, India, , 240000 INR, Scorpio. 32 Yrs / 5.3 / 159cms / Fair / B-, Faizpur (rural), Maharashtra, India, Other , 504000 INR, Gemini. 26 Yrs / 5.4 / 162cms / Fair / AB+, Jalgaon (M Corp.), Maharashtra, India, Agricultural Technician, 200000 INR, Taurus. 29 Yrs / 5.6 / 168cms / / AB+, , Maharashtra, India, Service , 234000 INR, . 32 Yrs / 5.6 / 168cms / Fair / B+, Bhusawal (M Cl), Maharashtra, India, Teaching, 216000 INR, . 27 Yrs / 5.7 / 171cms / Fair / Dont know/माहिती नाही , , Maharashtra, India, Service , 360000 INR, NOT KNOWN . 27 Yrs / 5.9 / 177cms / Fair / AB+, , Maharashtra, India, Engineer, 225000 INR, Capricorn. 27 Yrs / 5.8 / 174cms / wheatish / A+, , Maharashtra, India, Engineer, 240000 INR, Aries. 26 Yrs / 5.7 / 171cms / wheatish / Dont know/माहिती नाही , Nashik (M Corp.), Maharashtra, India, Service , 480000 INR, NOT KNOWN . 36 Yrs / 5.10 / 153cms / Very fair / B+, , Maharashtra, India, Software Engineer , 500000 INR, Aries. 26 Yrs / 5.8 / 174cms / Brown / A+, Ulhasnagar (M Corp.), Maharashtra, India, Software Engineer , 400000 INR, Aquarius. 40 Yrs / 5.10 / 153cms / Fair / A+, Bharuch (M), Maharashtra, India, Other , 800000 INR, Cancer. 33 Yrs / 5.8 / 174cms / Fair / B+, Borivali, Maharashtra, India, , 0 INR, Cancer. 35 Yrs / 5.8 / 174cms / Fair / B+, , Maharashtra, India, Other , 180000 INR, Aquarius. 28 Yrs / 5.7 / 171cms / Brown / A+, , Maharashtra, India, Other , 120000 INR, NOT KNOWN . 26 Yrs / 5.9 / 177cms / / O-, , Maharashtra, India, Service , 354000 INR, . 30 Yrs / 5.7 / 171cms / Fair / AB+, , Maharashtra, India, Engineer, 900000 INR, Libra. 29 Yrs / 5.7 / 171cms / Fair / B+, Bhusawal (M Cl), Maharashtra, India, Agricultural Engineer, 444000 INR, Cancer. 35 Yrs / 5.8 / 174cms / Fair / B+, , Maharashtra, India, Service , 1000000 INR, Capricorn. 27 Yrs / 5.7 / 171cms / Fair / B+, Bhusawal (M Cl), Maharashtra, India, Other , 144000 INR, Capricorn. 31 Yrs / 6 / 180cms / Fair / O+, , Maharashtra, India, Software Engineer , 480000 INR, . 30 Yrs / 5.8 / 174cms / Fair / AB+, , Maharashtra, India, Accountant , 300000 INR, Virgo. 29 Yrs / 5.3 / 159cms / Fair / O+, , Maharashtra, India, Teaching, 420000 INR, Taurus. 31 Yrs / 5.10 / 153cms / Fair / AB+, , Maharashtra, India, Accountant , 250000 INR, Libra. 20 Yrs / 5.9 / 177cms / Fair / B+, Asoda, Maharashtra, India, Agricultural Technician, 625000 INR, Sagittarius. 28 Yrs / 5.8 / 174cms / Fair / B+, , Maharashtra, India, Engineer, 1075000 INR, Aquarius. 27 Yrs / 5.10 / 153cms / Fair / A+, Kalyan-Dombivli (M Corp.), Maharashtra, India, Software Engineer , 110000 INR, Libra. 28 Yrs / 5.9 / 177cms / Fair / AB+, Bhusawal (M Cl), Maharashtra, India, Other , 280000 INR, Gemini. 31 Yrs / 5.10 / 153cms / Fair / B+, Kalyan-Dombivli (M Corp.), Maharashtra, India, Construction related works, 216000 INR, Capricorn. 28 Yrs / 5.3 / 159cms / Fair / B+, , Maharashtra, India, Service , 192000 INR, Scorpio. 28 Yrs / 5.6 / 168cms / wheatish / A-, Chinchwad, Maharashtra, India, Business , 1300000 INR, Virgo. 26 Yrs / 5.4 / 162cms / Fair / B+, Jalgaon (M Corp.), Maharashtra, India, Business , 850000 INR, Pisces. 30 Yrs / 5.5 / 165cms / Fair / A+, , Maharashtra, India, Area manager , 300000 INR, Virgo. 27 Yrs / 5.11 / 153.3cms / Fair / O+, Pithampur (M), Maharashtra, India, Other , 170000 INR, Sagittarius. 33 Yrs / 5.7 / 171cms / Fair / B+, , Maharashtra, India, Teaching, 100000 INR, Cancer. 29 Yrs / 5.8 / 174cms / wheatish / B+, Khadake, Maharashtra, India, Business , 1000000 INR, NOT KNOWN . 29 Yrs / 5.10 / 153cms / Fair / AB+, Jalgaon (M Corp.), Maharashtra, India, Business , 1200000 INR, Leo. 27 Yrs / 5.10 / 153cms / wheatish / O+, , Maharashtra, India, Service , 325000 INR, Libra. 26 Yrs / 5.8 / 174cms / Fair / AB+, , Maharashtra, India, Business , 350000 INR, Gemini. 29 Yrs / 5.8 / 174cms / Fair / O+, Achegaon, Maharashtra, India, Service , 240000 INR, Cancer. 30 Yrs / 5.9 / 177cms / wheatish / AB+, Bhusawal (M Cl), Maharashtra, India, Service , 288000 INR, Taurus. 36 Yrs / 6 / 180cms / wheatish / , , Maharashtra, India, Service , 300000 INR, Leo. 29 Yrs / 5.9 / 177cms / wheatish / , , Maharashtra, India, Service , 560000 INR, . 30 Yrs / 5.7 / 171cms / Fair / AB+, Jalgaon (M Corp.), Maharashtra, India, Service , 204000 INR, Aries. 26 Yrs / 5.10 / 153cms / Fair / A+, , Maharashtra, India, Service , 204000 INR, Taurus. 26 Yrs / 5.9 / 177cms / wheatish / A+, , Maharashtra, India, Software Engineer , 750000 INR, Virgo. 31 Yrs / 5.8 / 174cms / Fair / O+, , Maharashtra, India, Service , 250000 INR, Gemini. 28 Yrs / 5.8 / 174cms / Brown / O+, Faizpur (rural), Maharashtra, India, Service , 200000 INR, Gemini. 29 Yrs / 5.8 / 174cms / Fair / A+, Khamgaon (M Cl), Maharashtra, India, Accountant , 300000 INR, Pisces. 32 Yrs / 5.5 / 165cms / Very fair / A+, , Maharashtra, India, Engineer, 250000 INR, Taurus. 29 Yrs / 5.9 / 177cms / Fair / AB+, Ambarnath (R), Maharashtra, India, Engineer, 500000 INR, Taurus. 35 Yrs / 6 / 180cms / Fair / , , Maharashtra, India, Engineer, 1000000 INR, Taurus. 31 Yrs / 5.11 / 153.3cms / Fair / B+, Bhusawal (M Cl), Maharashtra, India, Clerck, 144000 INR, Leo. 26 Yrs / 6 / 180cms / Fair / A+, Kurkumbh, Maharashtra, India, Engineer, 360000 INR, Libra. 29 Yrs / 5.7 / 171cms / Fair / A+, Pune (M Corp.), Maharashtra, India, Engineer, 500000 INR, Libra. 29 Yrs / 5.5 / 165cms / Fair / AB+, Jalgaon (M Corp.), Maharashtra, India, Advertising Related work, 700000 INR, Scorpio. 26 Yrs / 5.6 / 168cms / Fair / A+, , Maharashtra, India, Service , 180000 INR, Cancer. 33 Yrs / 5.11 / 153.3cms / Brown / AB+, Nashik (M Corp.), Maharashtra, India, Business , 400000 INR, . 27 Yrs / 5.5 / 165cms / Fair / B+, Padalse, Maharashtra, India, Area manager , 204000 INR, Leo. 31 Yrs / 5.5 / 165cms / Brown / A+, , Maharashtra, India, Automobile related works, 2520000 INR, Virgo. 29 Yrs / 5.9 / 177cms / Fair / O+, Bhusawal (M Cl), Maharashtra, India, Workshop Fabrication, 240000 INR, Sagittarius. 27 Yrs / 5.9 / 177cms / wheatish / A+, Jalgaon (M Corp.), Maharashtra, India, Business , 360000 INR, NOT KNOWN . 28 Yrs / 5.6 / 168cms / Fair / A+, Bhusawal (M Cl), Maharashtra, India, , 240000 INR, Libra. 27 Yrs / 5.7 / 171cms / Fair / , Sangvi Bk, Maharashtra, India, Lab assistant, 300000 INR, Virgo. 27 Yrs / 5.7 / 171cms / Fair / A+, , Maharashtra, India, Engineer, 360000 INR, . 24 Yrs / 5.8 / 174cms / Fair / O+, Atrawal, Maharashtra, India, Farming, 1500000 INR, NOT KNOWN . 33 Yrs / 5.6 / 168cms / Fair / A+, Pimpri Chinchwad (M Corp.), Maharashtra, India, Engineer, 285000 INR, Capricorn. 26 Yrs / 5.8 / 174cms / Brown / O+, Fekari, Maharashtra, India, Service , 120000 INR, NOT KNOWN . 25 Yrs / 5.10 / 153cms / Fair / Dont know/माहिती नाही , , Maharashtra, India, , 180000 INR, Taurus. 27 Yrs / 5.7 / 171cms / Brown / A+, Khadake, Maharashtra, India, Other , 100000 INR, . 27 Yrs / 5.7 / 171cms / Fair / O+, Belvhal, Maharashtra, India, Service , 132000 INR, Aries. 31 Yrs / 5.8 / 174cms / Fair / A+, Chinawal, Maharashtra, India, Service , 324000 INR, Capricorn. 34 Yrs / 5.8 / 174cms / Fair / A+, , Maharashtra, India, Service , 126000 INR, . 26 Yrs / 5.7 / 171cms / Fair / AB-, , Maharashtra, India, , 600000 INR, Virgo. 27 Yrs / 5.3 / 159cms / Brown / O+, Asoda, Maharashtra, India, Other , 10000 INR, Leo. 24 Yrs / 5.4 / 162cms / Fair / AB+, , Maharashtra, India, Engineer, 12000 INR, Libra. 27 Yrs / 5.7 / 171cms / Fair / O+, , Maharashtra, India, Other , 250000 INR, Aquarius. 30 Yrs / 5.8 / 174cms / Fair / A+, Bhamnod, Maharashtra, India, Engineer, 250000 INR, Virgo. 26 Yrs / 5.7 / 171cms / Fair / B+, Navi Mumbai (M Corp.), Maharashtra, India, Engineer, 200000 INR, Aries. 28 Yrs / 5.11 / 153.3cms / Fair / A+, Badlapur (M Cl), Maharashtra, India, Engineer, 3672500 INR, Aries. 27 Yrs / 5.8 / 174cms / wheatish / A+, , Maharashtra, India, Service , 1110000 INR, Aries. 28 Yrs / 5.11 / 153.3cms / wheatish / A+, , Maharashtra, India, Engineer, 300000 INR, Leo. 0 Yrs / 5.7 / 171cms / wheatish / O+, , Maharashtra, India, Business , 230000 INR, Taurus. 30 Yrs / 5.5 / 165cms / Fair / B+, , Maharashtra, India, , 264000 INR, . 31 Yrs / 5.7 / 171cms / Fair / AB+, Bhusawal (M Cl), Maharashtra, India, Other , 380000 INR, Virgo. 26 Yrs / 5.7 / 171cms / wheatish / O+, , Maharashtra, India, Service , 240000 INR, NOT KNOWN . 26 Yrs / 5.7 / 171cms / wheatish / Dont know/माहिती नाही , Navi Mumbai (M Corp.), Maharashtra, India, Service , 180000 INR, NOT KNOWN . 26 Yrs / 5.9 / 177cms / Fair / A+, Kandari (CT), Maharashtra, India, Service , 35000 INR, Aries. 27 Yrs / 5.3 / 159cms / Fair / A+, Sangvi Bk, Maharashtra, India, Teaching, 84000 INR, Scorpio. 29 Yrs / 5.7 / 171cms / / A+, Vidgaon, Maharashtra, India, Service , 320000 INR, Gemini. 27 Yrs / 5.10 / 153cms / Fair / O+, Khadake, Maharashtra, India, Farming, 300000 INR, Virgo. 31 Yrs / 5.9 / 177cms / Fair / B+, Faizpur (rural), Maharashtra, India, Clerck, 120000 INR, . 31 Yrs / 6.5 / 195cms / Fair / O-, , Maharashtra, India, Accountant , 192000 INR, Aries. 29 Yrs / 5.4 / 162cms / Very fair / B+, Ambarnath(M Cl), Maharashtra, India, Software Engineer , 500000 INR, Aries. 28 Yrs / 5.6 / 168cms / Fair / AB+, , Maharashtra, India, Service , 300000 INR, NOT KNOWN . 26 Yrs / 5.7 / 171cms / Fair / A+, Fekari, Maharashtra, India, , 220000 INR, Virgo. 28 Yrs / 5.9 / 177cms / Fair / A+, , Maharashtra, India, Engineer, 780000 INR, . 36 Yrs / 5.3 / 159cms / Fair / A+, Nashik (M Corp.), Maharashtra, India, Service , 219000 INR, NOT KNOWN . 30 Yrs / 5.8 / 174cms / Fair / A+, Bhamnod, Maharashtra, India, Other , 264000 INR, NOT KNOWN . 26 Yrs / 6 / 180cms / Fair / B+, Fekari, Maharashtra, India, Other , 150000 INR, Aries. 26 Yrs / 6 / 180cms / Fair / A+, , Maharashtra, India, Teaching, 240000 INR, Aquarius. 27 Yrs / 5.8 / 174cms / Fair / A+, Nimbhore Bk., Maharashtra, India, , 240000 INR, . 29 Yrs / 5.8 / 174cms / Fair / O+, , Maharashtra, India, Service , 400000 INR, Aquarius. 28 Yrs / 5.6 / 168cms / Fair / B+, Kalyan-Dombivli (M Corp.), Maharashtra, India, Engineer, 750000 INR, Capricorn. 30 Yrs / 5.9 / 177cms / Fair / O+, Nhavi Pr. Yaval, Maharashtra, India, Engineer, 816000 INR, . 32 Yrs / 5.3 / 159cms / Fair / B+, , Maharashtra, India, Software Engineer , 450000 INR, NOT KNOWN . 33 Yrs / 5.6 / 168cms / wheatish / O+, Badlapur (M Cl), Maharashtra, India, Service , 448000 INR, Pisces. 31 Yrs / 5.9 / 177cms / Very fair / A+, Ahmadabad (M Corp.) (Part), Maharashtra, India, Area manager , 453600 INR, Cancer. 32 Yrs / 5.7 / 171cms / Fair / B+, Fekari, Maharashtra, India, Workshop Fabrication, 96000 INR, . 30 Yrs / 5.7 / 171cms / Fair / A+, Pimprud, Maharashtra, India, Teaching, 230000 INR, Capricorn. 28 Yrs / 5.10 / 153cms / Fair / A+, Asoda, Maharashtra, India, Service , 240000 INR, Libra. 32 Yrs / 5.8 / 174cms / Fair / B+, Amravati (M Corp.), Maharashtra, India, Service , 120000 INR, Scorpio. 32 Yrs / 5.10 / 153cms / Fair / A+, Kalyan-Dombivli (M Corp.), Maharashtra, India, Business , 715200 INR, Gemini. 30 Yrs / 5.8 / 174cms / Fair / B+, Jalgaon (M Corp.), Maharashtra, India, Service , 144000 INR, . 27 Yrs / 5.8 / 174cms / wheatish / B+, , Maharashtra, India, Engineer, 204000 INR, Taurus. 31 Yrs / 5.8 / 174cms / Fair / A+, Nhavi Pr. Yaval, Maharashtra, India, Clerck, 144000 INR, Capricorn. 28 Yrs / 5.8 / 174cms / Fair / A+, Nashik (M Corp.), Maharashtra, India, Engineer, 1050000 INR, Taurus. 33 Yrs / 5.11 / 153.3cms / Fair / O+, Nandura (M Cl + OG), Maharashtra, India, Clerck, 250000 INR, Sagittarius. 30 Yrs / 5.5 / 165cms / Fair / B+, , Maharashtra, India, Engineer, 300000 INR, Aquarius. 29 Yrs / 5.11 / 153.3cms / wheatish / A+, Nashik (M Corp.), Maharashtra, India, Service , 540000 INR, Gemini. 26 Yrs / 5.11 / 153.3cms / Fair / AB-, Jalgaon Kh., Maharashtra, India, Other , 180000 INR, Aquarius. 30 Yrs / 5.8 / 174cms / wheatish / O+, , Maharashtra, India, Other , 227000 INR, Scorpio. 39 Yrs / 6 / 180cms / Fair / B+, Channenahalli, Maharashtra, India, Engineer, 950000 INR, Libra. 30 Yrs / 5.7 / 171cms / wheatish / A-, , Maharashtra, India, Engineer, 192000 INR, Virgo. 30 Yrs / 5.9 / 177cms / Fair / A+, , Maharashtra, India, Service , 156000 INR, Capricorn. 36 Yrs / 5.5 / 165cms / wheatish / A-, Bhalod, Maharashtra, India, Teaching, 368000 INR, Sagittarius. 28 Yrs / 5.8 / 174cms / Fair / B+, , Maharashtra, India, Clerck, 240000 INR, Cancer. 29 Yrs / 5.7 / 171cms / Fair / O+, Chakan (CT), Maharashtra, India, Service , 25000 INR, Libra. 25 Yrs / 5.7 / 171cms / Brown / A+, Jalgaon (M Corp.), Maharashtra, India, Engineer, 350000 INR, Pisces. 32 Yrs / 5.11 / 153.3cms / Fair / A-, Pune (M Corp.), Maharashtra, India, Service , 120000 INR, Leo. 28 Yrs / 5.7 / 171cms / Fair / B+, , Maharashtra, India, Engineer, 708000 INR, . 26 Yrs / 5.5 / 165cms / Fair / A-, Harankhede, Maharashtra, India, Medical (Medicin related works), 480000 INR, NOT KNOWN . 31 Yrs / 5.10 / 153cms / Fair / A+, , Maharashtra, India, Other , 500000 INR, . 27 Yrs / 5.6 / 168cms / Very fair / O+, , Maharashtra, India, Farming, 700000 INR, Libra. 26 Yrs / 5.6 / 168cms / Fair / A+, Padalse, Maharashtra, India, Other , 210000 INR, Aries. 28 Yrs / 5.5 / 165cms / Fair / O+, , Maharashtra, India, Advertising Related work, 360000 INR, Leo. 29 Yrs / 5.10 / 153cms / wheatish / A+, Malkapur (M Cl), Maharashtra, India, Agricultural Engineer, 300000 INR, Virgo. 31 Yrs / 5.9 / 177cms / Fair / B+, , Maharashtra, India, Engineer, 390000 INR, Libra. 32 Yrs / 5.5 / 165cms / Fair / A+, , Maharashtra, India, Automobile related works, 150000 INR, . 33 Yrs / 6 / 180cms / Fair / B+, Kalyan-Dombivli (M Corp.), Maharashtra, India, Service , 300000 INR, Capricorn. 32 Yrs / 5.8 / 174cms / Fair / O+, Mohrale, Maharashtra, India, Teaching, 460000 INR, . 28 Yrs / 5.11 / 153.3cms / Fair / A+, Navi Mumbai (M Corp.), Maharashtra, India, Software Engineer , 504000 INR, Sagittarius. 31 Yrs / 5.7 / 171cms / wheatish / B+, Dahigaon, Maharashtra, India, Teaching, 108000 INR, . 26 Yrs / 5.5 / 165cms / Fair / A-, Nimbhore Bk., Maharashtra, India, Engineer, 180000 INR, Capricorn. 28 Yrs / 5.11 / 153.3cms / Fair / A+, Aurangabad (M Corp.), Maharashtra, India, Software Engineer , 1460000 INR, Leo. 31 Yrs / 5.6 / 168cms / wheatish / A+, Bhusawal (M Cl), Maharashtra, India, , 240000 INR, . 30 Yrs / 5.7 / 171cms / wheatish / O-, , Maharashtra, India, Business , 1200000 INR, Leo. 28 Yrs / 5.7 / 171cms / wheatish / A-, , Maharashtra, India, Area manager , 360000 INR, Libra. 30 Yrs / 5.8 / 174cms / wheatish / AB+, Bhusawal (M Cl), Maharashtra, India, Engineer, 300000 INR, NOT KNOWN . 25 Yrs / 5.3 / 159cms / Brown / Dont know/माहिती नाही , , Maharashtra, India, , 21000 INR, NOT KNOWN . 28 Yrs / 5.6 / 168cms / Fair / B+, Bhusawal (M Cl), Maharashtra, India, Service , 650000 INR, Gemini. 27 Yrs / 5.8 / 174cms / wheatish / A+, Bhadli Bk, Maharashtra, India, Other , 144000 INR, . 30 Yrs / 5.8 / 174cms / Fair / O+, Pune (M Corp.), Maharashtra, India, Software Engineer , 632000 INR, Capricorn. 30 Yrs / 5.6 / 168cms / wheatish / O+, , Maharashtra, India, Doctor, 0 INR, NOT KNOWN . 26 Yrs / 5.8 / 174cms / wheatish / B+, Nashik (M Corp.), Maharashtra, India, Medical (Medicin related works), 276000 INR, Capricorn. 27 Yrs / 5.5 / 165cms / Fair / AB+, , Maharashtra, India, Medical (Medicin related works), 288000 INR, . 27 Yrs / 5.4 / 162cms / Fair / AB+, , Maharashtra, India, Service , 500000 INR, . 29 Yrs / 5.7 / 171cms / Fair / B+, , Maharashtra, India, Automobile related works, 252000 INR, Libra. 26 Yrs / 5.9 / 177cms / Very fair / O+, Wagholi (CT), Maharashtra, India, Engineer, 300000 INR, Aries. 21 Yrs / 5.6 / 168cms / Fair / A+, Chakan (CT), Maharashtra, India, Service , 162000 INR, Scorpio. 29 Yrs / 5.11 / 153.3cms / Fair / A+, Nashik (M Corp.), Maharashtra, India, Software Engineer , 700000 INR, Taurus. 32 Yrs / 5.5 / 165cms / Fair / AB+, , Maharashtra, India, Service , 260000 INR, Taurus. 30 Yrs / 5.10 / 153cms / Fair / A-, Thane (M Corp.), Maharashtra, India, Software Engineer , 7200000 INR, . 30 Yrs / 5.8 / 174cms / Fair / A+, , Maharashtra, India, Workshop Fabrication, 750000 INR, . 29 Yrs / 5.7 / 171cms / Fair / A+, , Maharashtra, India, Other , 300000 INR, Sagittarius. 31 Yrs / 5.6 / 168cms / Fair / B+, Kalher (CT), Maharashtra, India, Teaching, 425000 INR, Aries. 31 Yrs / 5.7 / 171cms / Fair / , , Maharashtra, India, Service , 325000 INR, Taurus. 0 Yrs / / 0cms / / , , Maharashtra, India, , 0 INR, . 37 Yrs / 5.8 / 174cms / Fair / A+, Indiranagar, Maharashtra, India, Engineer, 440000 INR, Aries. 28 Yrs / 5.8 / 174cms / Fair / O+, Nashik (M Corp.), Maharashtra, India, Business , 300000 INR, Pisces. 28 Yrs / 5.6 / 168cms / wheatish / A+, , Maharashtra, India, Professar, 650000 INR, Libra. 31 Yrs / 5.6 / 168cms / Fair / AB+, Kalyan-Dombivli (M Corp.), Maharashtra, India, Service , 192000 INR, Capricorn. 30 Yrs / 5.11 / 153.3cms / wheatish / , Bhusawal (M Cl), Maharashtra, India, Service , 180000 INR, Taurus. 26 Yrs / 5.2 / 156cms / Fair / A+, , Maharashtra, India, Service , 320000 INR, . 26 Yrs / 5.6 / 168cms / Fair / AB+, Khirdi Bk., Maharashtra, India, , 172000 INR, . 29 Yrs / 5.6 / 168cms / Fair / B+, , Maharashtra, India, Other , 450000 INR, Leo. 29 Yrs / 5.10 / 153cms / wheatish / O+, Bhalod, Maharashtra, India, Farming, 800000 INR, Scorpio. 32 Yrs / 6 / 180cms / Brown / A+, Chinawal, Maharashtra, India, Other , 144000 INR, . 35 Yrs / 5.8 / 174cms / Fair / O+, Pimpri Chinchwad (M Corp.), Maharashtra, India, Engineer, 600000 INR, Taurus. 34 Yrs / 5.8 / 174cms / wheatish / B+, Khadake, Maharashtra, India, Teaching, 300000 INR, Aries. 31 Yrs / 5.6 / 168cms / Brown / O+, Aurangabad (M Corp.), Maharashtra, India, Other , 160000 INR, NOT KNOWN . 30 Yrs / 5.9 / 177cms / Fair / A+, Pune (M Corp.), Maharashtra, India, Other , 288000 INR, Taurus. 38 Yrs / 5.10 / 153cms / Very fair / A+, Faizpur (M Cl), Maharashtra, India, Teaching, 160000 INR, . 28 Yrs / 5.11 / 153.3cms / Fair / B+, Sakari, Maharashtra, India, Service , 384000 INR, . 28 Yrs / 5.8 / 174cms / Fair / B+, , Maharashtra, India, Engineer, 300000 INR, Aquarius. 34 Yrs / 5.8 / 174cms / Fair / , , Maharashtra, India, Service , 216000 INR, . 26 Yrs / 5.7 / 171cms / Fair / B+, Jalgaon (M Corp.), Maharashtra, India, Other , 600000 INR, . 29 Yrs / 5.9 / 177cms / wheatish / B+, Nashik (M Corp.), Maharashtra, India, Business , 600000 INR, Cancer. 26 Yrs / 5.6 / 168cms / Fair / AB+, Kalyan-Dombivli (M Corp.), Maharashtra, India, Engineer, 600000 INR, Libra. 32 Yrs / 5.6 / 168cms / Fair / A+, Khadake, Maharashtra, India, Other , 324000 INR, . 30 Yrs / 5.7 / 171cms / Fair / B+, Pune (CB), Maharashtra, India, Business , 800000 INR, Capricorn. 39 Yrs / 5.8 / 174cms / Very fair / B+, Pune (CB), Maharashtra, India, Engineer, 500000 INR, Cancer. 33 Yrs / 5.9 / 177cms / Fair / B+, Padalse, Maharashtra, India, Teaching, 554000 INR, Aquarius. 26 Yrs / 5.8 / 174cms / Fair / A+, Kinhi, Maharashtra, India, Service , 1440000 INR, Scorpio. 35 Yrs / 5.9 / 177cms / Fair / , Nashik (M Corp.), Maharashtra, India, Service , 356400 INR, . 29 Yrs / 5.10 / 153cms / Fair / AB+, Kalyan-Dombivli (M Corp.), Maharashtra, India, Engineer, 1645000 INR, Taurus. 27 Yrs / 5.11 / 153.3cms / Fair / A+, Pune (M Corp.), Maharashtra, India, Other , 400000 INR, Cancer. 26 Yrs / 5.9 / 177cms / wheatish / AB+, , Maharashtra, India, Farming, 600000 INR, . 29 Yrs / 5.9 / 177cms / Brown / O+, , Maharashtra, India, Business , 300000 INR, Libra. 27 Yrs / 5.10 / 153cms / Fair / A+, Kasara Bk. (CT), Maharashtra, India, Other , 258000 INR, Cancer. 29 Yrs / 5.5 / 165cms / Fair / O+, , Maharashtra, India, , 288000 INR, . 25 Yrs / 5.11 / 153.3cms / Fair / A+, Jalgaon (M Corp.), Maharashtra, India, Business , 1000000 INR, Virgo. 29 Yrs / 5.4 / 162cms / Fair / O+, Satod, Maharashtra, India, Engineer, 332000 INR, Libra. 30 Yrs / 5.9 / 177cms / Fair / O+, Faizpur (M Cl), Maharashtra, India, Medical (Medicin related works), 360000 INR, . 26 Yrs / 5.6 / 168cms / Fair / A+, , Maharashtra, India, Engineer, 1020000 INR, Libra. 35 Yrs / 5.10 / 153cms / Fair / B-, , Maharashtra, India, , 500000 INR, Leo. 24 Yrs / 5.7 / 171cms / wheatish / O+, , Maharashtra, India, Engineer, 300000 INR, Scorpio. 26 Yrs / 5.7 / 171cms / Fair / B+, Pune (CB), Maharashtra, India, Engineer, 500000 INR, Aries. 30 Yrs / 5.11 / 153.3cms / Fair / A+, , Maharashtra, India, Service , 1458000 INR, Aquarius. 28 Yrs / 5.8 / 174cms / Fair / A+, , Maharashtra, India, Other , 264000 INR, Gemini. 29 Yrs / 5.8 / 174cms / Fair / A+, Pimpri Chinchwad (M Corp.), Maharashtra, India, Service , 204000 INR, NOT KNOWN . 26 Yrs / 5.11 / 153.3cms / Very fair / A+, , Maharashtra, India, Engineer, 7500000 INR, Cancer. 30 Yrs / 5.7 / 171cms / Fair / AB+, Jalgaon (M Corp.), Maharashtra, India, Service , 412000 INR, Pisces. 27 Yrs / 5.4 / 162cms / Fair / A+, Chandrapur (M Cl), Maharashtra, India, Construction related works, 500000 INR, Virgo. 42 Yrs / 5.4 / 162cms / Fair / O+, , Maharashtra, India, Medical (Medicin related works), 250000 INR, Pisces. 27 Yrs / 5.8 / 174cms / Fair / B+, , Maharashtra, India, Construction related works, 420000 INR, . 30 Yrs / 5.1 / 153cms / Fair / AB+, , Maharashtra, India, Business , 430000 INR, Scorpio. 27 Yrs / 5.7 / 171cms / Brown / B+, , Maharashtra, India, Service , 315000 INR, Capricorn. 32 Yrs / 5.11 / 153.3cms / wheatish / B+, Washim (M Cl), Maharashtra, India, Clerck, 492000 INR, Cancer. 28 Yrs / 5.8 / 174cms / Fair / AB+, Jalgaon (M Corp.), Maharashtra, India, Business , 55000 INR, Capricorn. 28 Yrs / 5.11 / 153.3cms / Brown / AB+, , Maharashtra, India, Service , 200000 INR, Libra. 28 Yrs / 5.8 / 174cms / Fair / A+, Jadgaon, Maharashtra, India, Engineer, 360000 INR, NOT KNOWN . 30 Yrs / 5.10 / 153cms / Fair / B+, Kalyan-Dombivli (M Corp.), Maharashtra, India, Software Engineer , 1062000 INR, Virgo. 26 Yrs / 5.8 / 174cms / Fair / A+, Rojore, Maharashtra, India, Other , 1300000 INR, Libra. 43 Yrs / 5.5 / 165cms / Fair / B+, , Maharashtra, India, Service , 300000 INR, . 27 Yrs / 5.4 / 162cms / Fair / B+, Kalyan-Dombivli (M Corp.), Maharashtra, India, Other , 350000 INR, Pisces. 29 Yrs / 5.9 / 177cms / Fair / AB+, , Maharashtra, India, Engineer, 354000 INR, . 29 Yrs / 5.8 / 174cms / Fair / A+, , Maharashtra, India, Construction related works, 250000 INR, Cancer. 28 Yrs / 5.6 / 168cms / wheatish / O+, Bhadli Bk, Maharashtra, India, Engineer, 240000 INR, Sagittarius. 27 Yrs / 5.8 / 174cms / Fair / A+, , Maharashtra, India, Service , 440000 INR, Sagittarius. 28 Yrs / 5.9 / 177cms / Fair / AB+, , Maharashtra, India, Service , 420000 INR, . 32 Yrs / 5.11 / 153.3cms / Fair / O+, Nandura (M Cl + OG), Maharashtra, India, Construction related works, 600000 INR, NOT KNOWN . 28 Yrs / 5.7 / 171cms / Fair / A+, Chinawal, Maharashtra, India, Software Engineer , 432000 INR, Libra. 31 Yrs / 5.6 / 168cms / Fair / A+, , Maharashtra, India, Other , 240000 INR, Taurus. 29 Yrs / 5.10 / 153cms / Fair / AB+, Nashik (M Corp.), Maharashtra, India, Other , 500000 INR, Taurus. 29 Yrs / 5.6 / 168cms / Fair / AB+, , Maharashtra, India, Other , 300000 INR, Gemini. 30 Yrs / 5.9 / 177cms / Fair / A+, Raipur, Maharashtra, India, Service , 430000 INR, . 28 Yrs / 5.7 / 171cms / Fair / AB+, Kalyan-Dombivli (M Corp.), Maharashtra, India, Software Engineer , 493000 INR, Gemini. 31 Yrs / 5.6 / 168cms / Fair / O+, , Maharashtra, India, Engineer, 360000 INR, Virgo. 29 Yrs / 5.4 / 162cms / Fair / O+, Jalgaon (M Corp.), Maharashtra, India, Service , 100000 INR, Gemini. 29 Yrs / 5.6 / 168cms / wheatish / O+, Ambarnath(M Cl), Maharashtra, India, Service , 435000 INR, Libra. 29 Yrs / 5.8 / 174cms / Very fair / O+, Amravati (M Corp.), Maharashtra, India, Service , 269400 INR, Leo. 29 Yrs / 5.7 / 171cms / Fair / A+, Faizpur (M Cl), Maharashtra, India, Other , 582000 INR, Libra. 34 Yrs / 5.8 / 174cms / Fair / O+, , Maharashtra, India, Other , 250000 INR, Pisces. 42 Yrs / 5.5 / 165cms / wheatish / B+, , Maharashtra, India, Business , 400000 INR, . 27 Yrs / 5.4 / 162cms / Fair / A+, Pimpri Chinchwad (M Corp.), Maharashtra, India, Software Engineer , 440000 INR, Leo. 33 Yrs / 5.2 / 156cms / Fair / Dont know/माहिती नाही , , Maharashtra, India, Other , 300000 INR, Aries. 32 Yrs / 6.1 / 183cms / Fair / A+, , Maharashtra, India, Service , 700000 INR, Taurus. 32 Yrs / 5.5 / 165cms / Fair / AB+, , Maharashtra, India, Other , 120000 INR, Taurus. 29 Yrs / 5.9 / 177cms / Fair / B+, Bhusawal (M Cl), Maharashtra, India, Teaching, 590000 INR, . 28 Yrs / 5.5 / 165cms / wheatish / A+, Padalse, Maharashtra, India, Other , 132000 INR, . 34 Yrs / 5.7 / 171cms / Fair / B+, , Maharashtra, India, Service , 294000 INR, NOT KNOWN . 31 Yrs / 5.7 / 171cms / Fair / Dont know/माहिती नाही , Vadodara (M Corp. + OG), Maharashtra, India, Service , 336000 INR, NOT KNOWN . 33 Yrs / 5.5 / 165cms / wheatish / B+, , Maharashtra, India, Accountant , 270000 INR, Aquarius. 32 Yrs / 6 / 180cms / Brown / AB+, Nashik (M Corp.), Maharashtra, India, Workshop Fabrication, 450000 INR, . 30 Yrs / 5.9 / 177cms / Fair / O+, Nashik (M Corp.), Maharashtra, India, Doctor, 650000 INR, Virgo. 30 Yrs / 5.8 / 174cms / Fair / O+, Pune (M Corp.), Maharashtra, India, Engineer, 444000 INR, . 40 Yrs / 5.6 / 168cms / wheatish / A+, , Maharashtra, India, Service , 240000 INR, NOT KNOWN . 27 Yrs / 5.11 / 153.3cms / Brown / Dont know/माहिती नाही , , Maharashtra, India, Business , 655000 INR, . 26 Yrs / 5.11 / 153.3cms / wheatish / Dont know/माहिती नाही , Varangaon (CT), Maharashtra, India, , 100000 INR, Sagittarius. 26 Yrs / 5.8 / 174cms / / A+, Salbardi, Maharashtra, India, Business , 1180000 INR, . 29 Yrs / 5.9 / 177cms / Fair / AB+, Aurangabad (M Corp.), Maharashtra, India, , 310000 INR, . 28 Yrs / 5.6 / 168cms / wheatish / A+, Aurangabad (CB), Maharashtra, India, Service , 300000 INR, . 34 Yrs / 5.9 / 177cms / wheatish / AB-, Faizpur (M Cl), Maharashtra, India, Agricultural Consultant, 550000 INR, Libra. 31 Yrs / 5.8 / 174cms / Fair / B+, , Maharashtra, India, Engineer, 426000 INR, . 26 Yrs / 5.10 / 153cms / Fair / A+, , Maharashtra, India, Construction related works, 540000 INR, Capricorn. 30 Yrs / 5.4 / 162cms / Fair / B+, , Maharashtra, India, Engineer, 840000 INR, Virgo. 27 Yrs / 5.7 / 171cms / Fair / B+, Ambarnath(M Cl), Maharashtra, India, Software Engineer , 830000 INR, Leo. 32 Yrs / 5.7 / 171cms / Fair / O+, Shindi, Maharashtra, India, Business , 300000 INR, . 27 Yrs / 5.7 / 171cms / Fair / O+, Kalyan-Dombivli (M Corp.), Maharashtra, India, Engineer, 480000 INR, Sagittarius. 25 Yrs / 5.11 / 153.3cms / Brown / O-, , Maharashtra, India, Studant, 216000 INR, Aries. 30 Yrs / 5.8 / 174cms / Fair / AB+, Goregaon, Maharashtra, India, Doctor, 550000 INR, . 32 Yrs / 5.6 / 168cms / Fair / A+, Ahirwadi, Maharashtra, India, Farming, 200000 INR, Libra. 31 Yrs / 5.8 / 174cms / wheatish / A+, , Maharashtra, India, Area manager , 4900000 INR, Libra. 40 Yrs / 5.7 / 171cms / Fair / O+, , Maharashtra, India, Agricultural Consultant, 354000 INR, Aries. 29 Yrs / 6.2 / 186cms / Fair / B+, , Maharashtra, India, Business , 600000 INR, Leo. 26 Yrs / 5.3 / 159cms / Very fair / O+, , Maharashtra, India, Agricultural Consultant, 360000 INR, Aries. 45 Yrs / 5.3 / 159cms / wheatish / , , Maharashtra, India, Farming, 20000 INR, . 29 Yrs / 5.10 / 153cms / wheatish / , , Maharashtra, India, Business , 600000 INR, Cancer. 29 Yrs / 5.5 / 165cms / wheatish / B+, , Maharashtra, India, Engineer, 235000 INR, Scorpio. 35 Yrs / 5.8 / 174cms / Fair / A+, , Maharashtra, India, Lab assistant, 240000 INR, . 27 Yrs / 5.2 / 156cms / Fair / A+, , Maharashtra, India, Business , 360000 INR, Virgo. 27 Yrs / 5.5 / 165cms / Black / A+, , Maharashtra, India, Other , 250000 INR, .